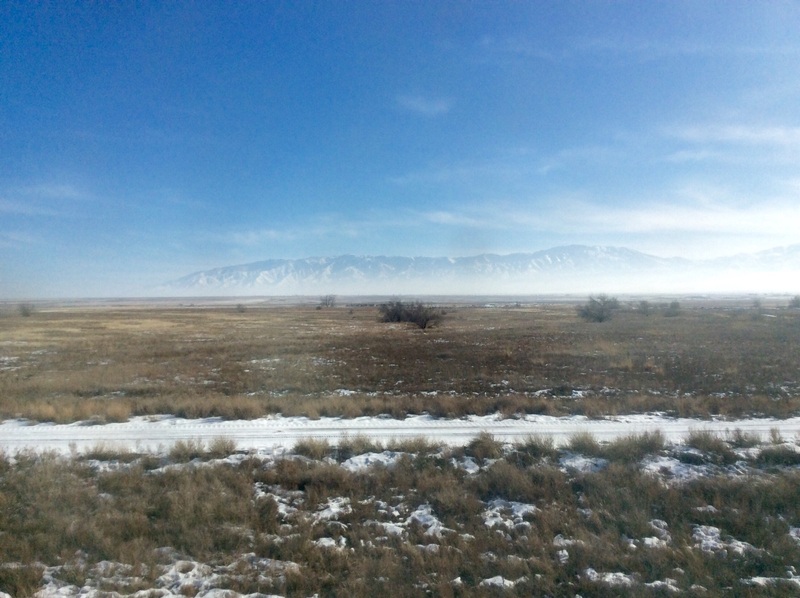 2/22 – Today we will travel across town to see the sights of Almaty. 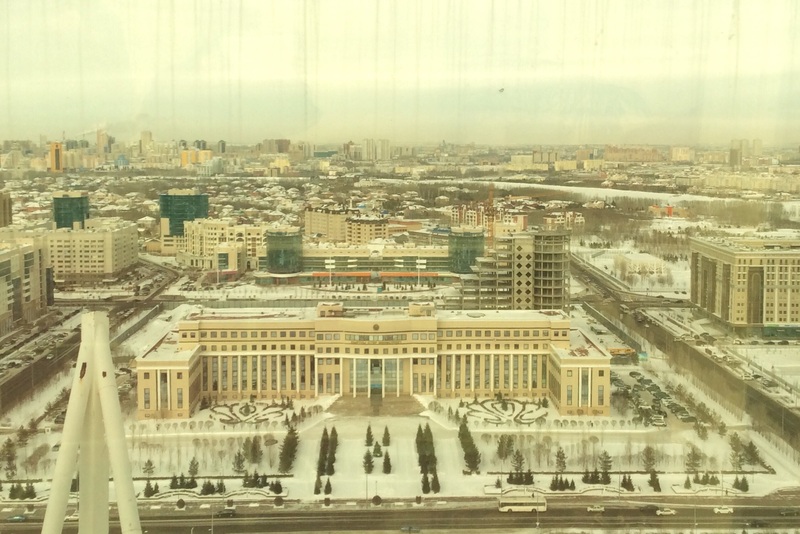 This used to be the capital city, before the president moved it to Astana in 1997, and is still the business and financial capital. It feels like a real city, instead of one just built for show. 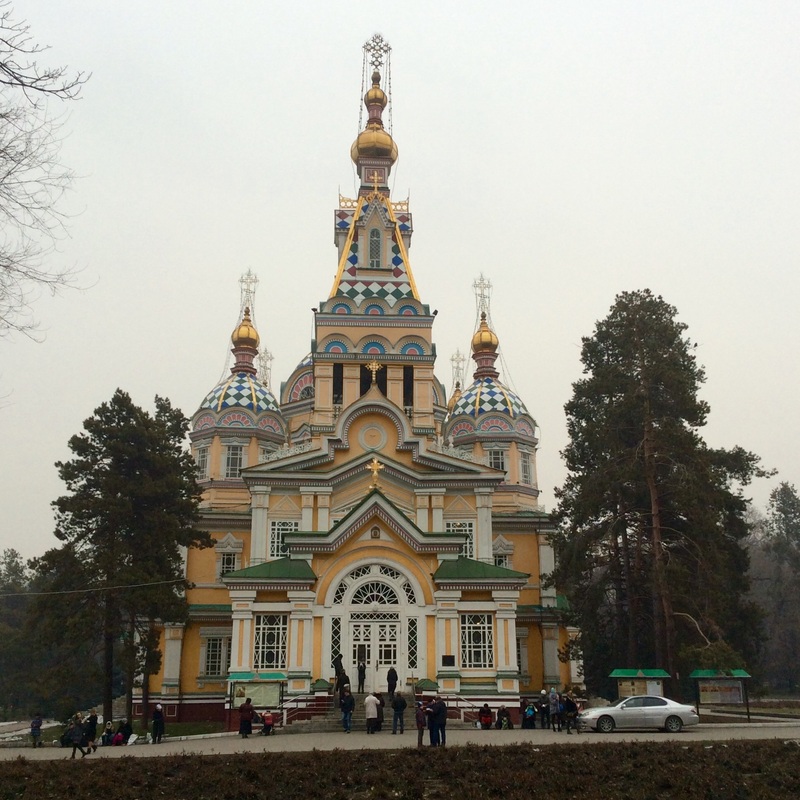 I have been trying to see a Russian Orthodox Cathedral, and today is our chance. The Zenkov, or Ascension Cathedral, is the 2nd tallest all wooden structure in the world, and was built entirely without nails. 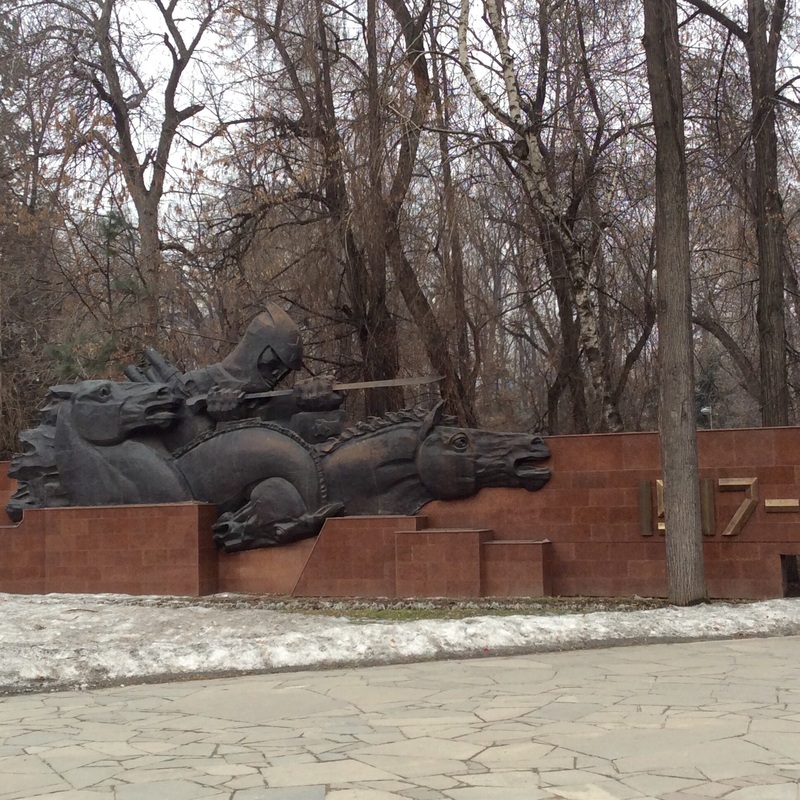 We needed to travel 5 km across town to get to it, and here is how you do it. Stand at the edge of the busy main street. Ever so subtly, stick your index finger out, pointing down at the road. The very next car to come by will stop and ask where you want to go (in Russian, of course). Negotiate a price, and off you go! The Kazakh man who picked us up had no English, and even though Jim had written out our destination in Russian and drawn a map, we were not sure he knew where we wanted to go. Solution? One block further, he stopped for a Russian man who had his finger out, and asked him if he spoke English. Problem solved! The young man worked for an international medical supply company, and was happy to tell us about his city, and how beautiful it is. It was Sunday afternoon, and the local folk were out enjoying the day. 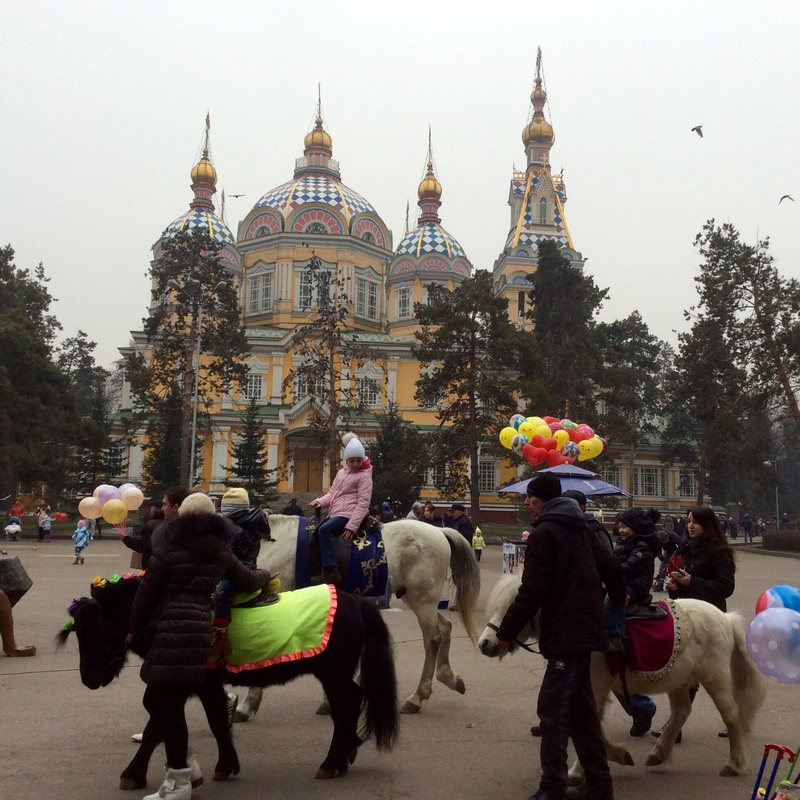 The Cathedral is in Panfilov Park, also called the Park of the 28 Guardsmen, and there were vendors selling candy and balloons, giving pony rides, and offering photo opportunities for kids to pose with a bird or a rabbit. The Cathedral, built in 1907, was colorful and stunning. Constructed totally without nails, it survived a major earthquake in 1911 with minimal damage, which some considered miraculous. 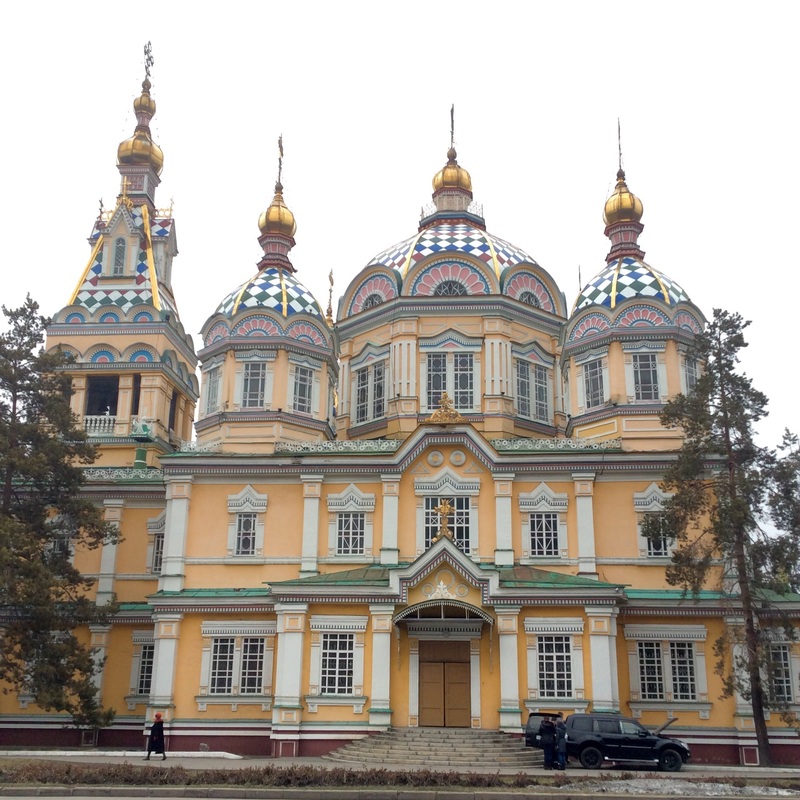 It served as a museum during the Soviet years, and was reconsecrated and returned to the Church in 1997. Inside, the faithful lit candles, bowed three times when crossing themselves, and kissed the golden icons. We were able to sit and meditate for a while. 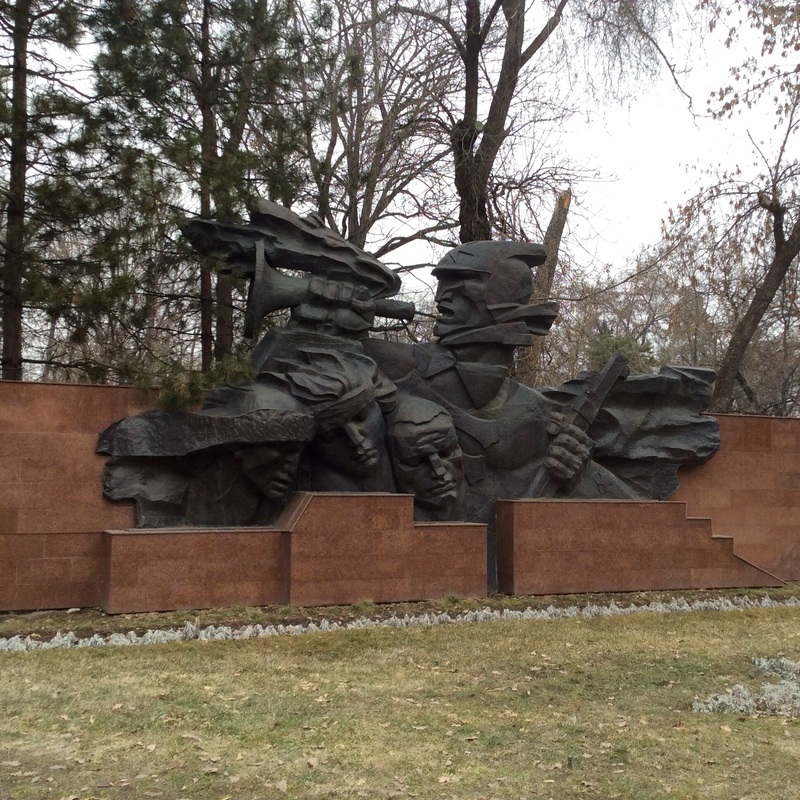 When we emerged, we strolled the park to see the monuments commemorating the sacrifice of the 28 local Guardsmen who helped defend Russia against the Nazis in WWII. 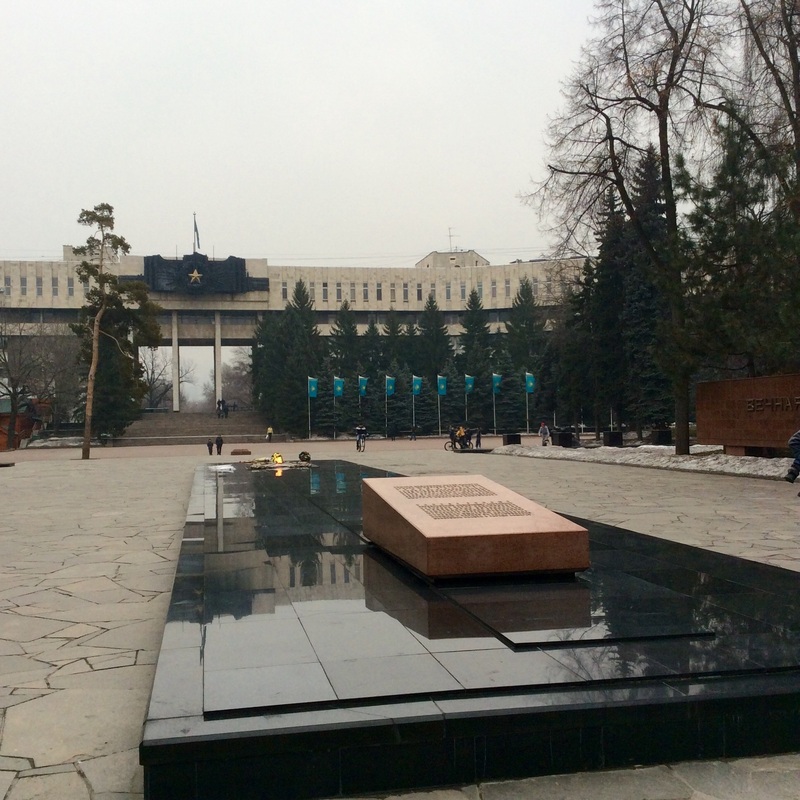 There were monuments and a tree planted in the name of each one. 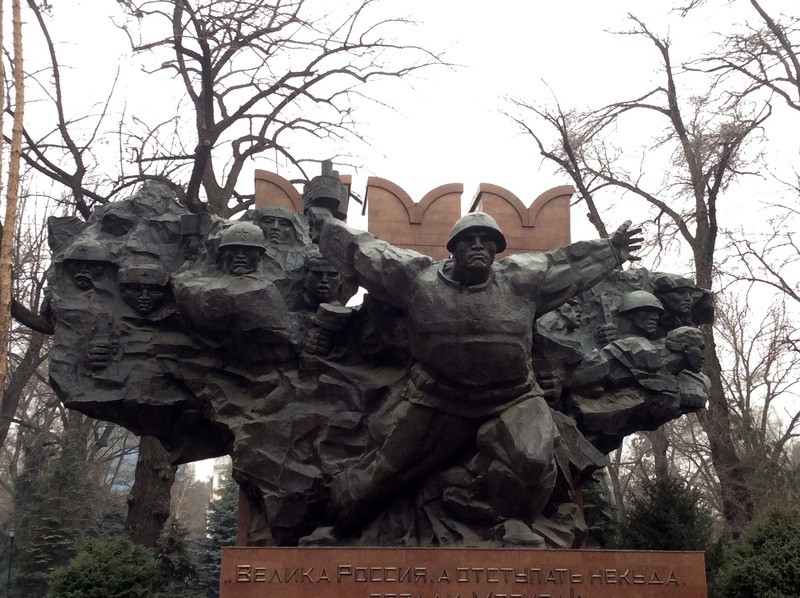 There were statues to commemorate the fallen of WWII. …and the Russian Revolution of 1917. We caught a ride home using the one-finger method. This driver had a little English – enough to tell us “Putin good, Obama bad. Bush okay. Bill Clinton good, Hillary bad.” Well, there you go! 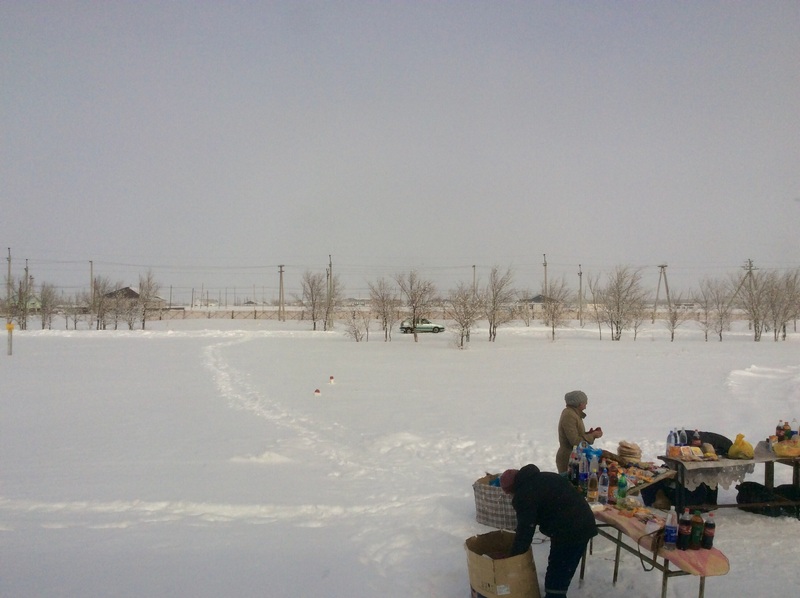 2/17 – It is minus 10 degrees F when we get off the train. Oh my it is cold! We stay in the station to buy the tickets for the next leg of our journey. It’s about 8am by the time we exit the train station, and still pitch dark. 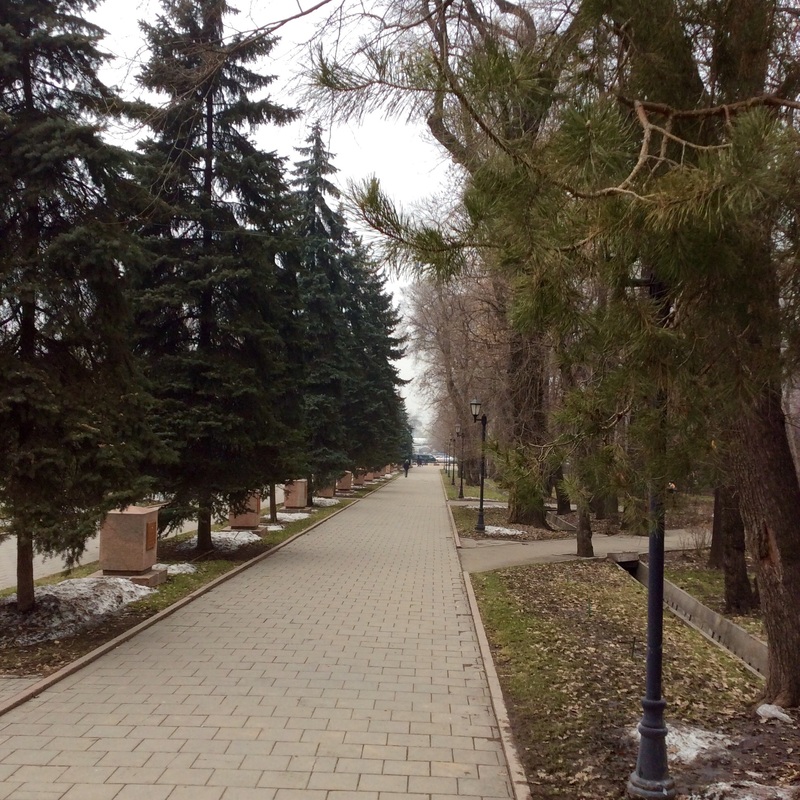 We know that the Hotel Aka is not far from the station, and decide to walk it. It is snowing, and the streets are covered with snow and ice. Taking baby steps to avoid slipping on the ice, I go down anyway like a ton of bricks with my backpack on. Left knee, right shoulder. 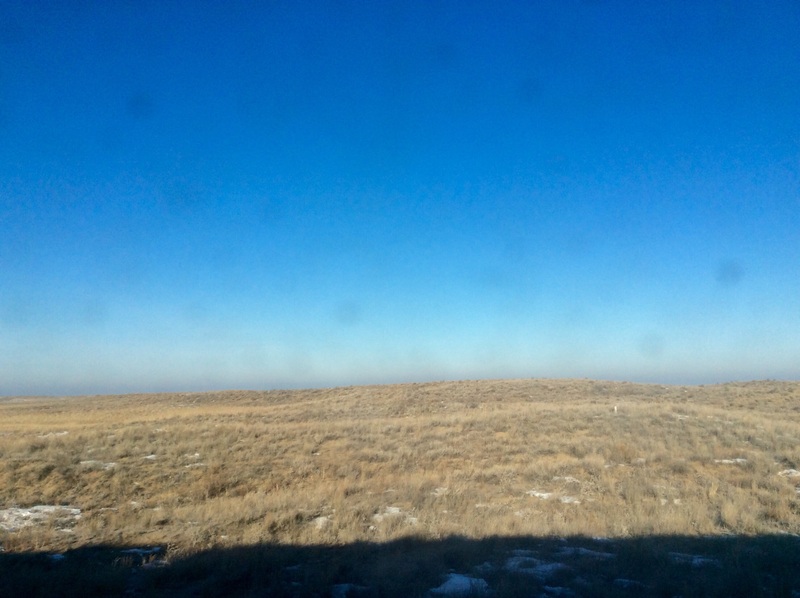 The air is knocked out of me, and my arm really hurts – I think maybe something is broken. Jim hauls me up, shoulders my pack as well as his own, and we keep walking, while I make little whimpering sounds. We stop to ask directions several times, but no one can point out our hotel. We finally go into the lobby of another hotel and ask. The lady says we passed it. I sit down and can walk no further. Jim asks the lady to call us a taxi, which then takes us back up the street to our hotel, which we had passed in the dark (the entrance was not on the main road, and the hotel name was not displayed, so we walked right by). I can’t wait until we get back to a country where we can use the GPS on the phone! Don’t know how people ever navigated without it. We get up to our room, and Jim pulls up Google Translate to figure out how to say ‘my wife needs a doctor’ in Russian. I tell him I’m not going anywhere (after two full days on the train) until I’ve had a hot shower. The shower enables me to assess the damage – knee scraped and swollen, and shoulder painful, but I can move everything. I don’t think anything is broken, and ask for some ibuprofen and a day of rest. It continues to snow all day – a good day to stay inside. 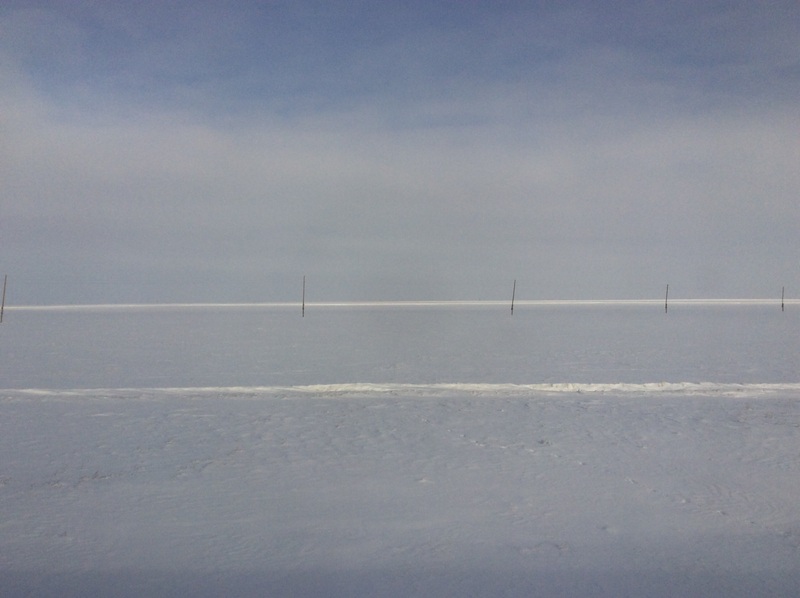 2/18 – This morning it is minus 20 degrees! Jim thinks I must be reading Celsius instead of Fahrenheit. 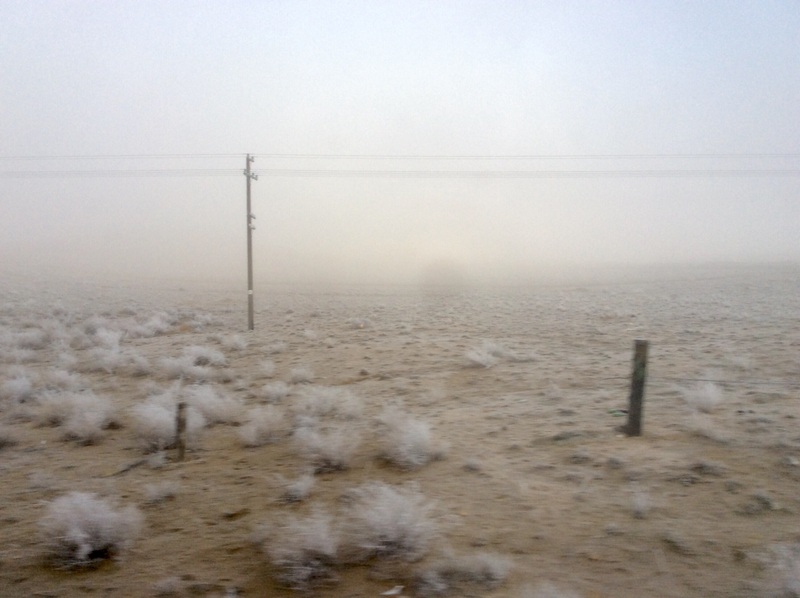 Nope – in Celsius it’s minus 29!! I am feeling better today after a good sleep and ibuprofen every four hours. My upper arm is one big bruise, and I don’t have range of motion, but it feels like a soft tissue injury, and I just need to give it some time to heal. Today the sun is out, and it is the day we had earmarked for walking around the city to see all the monuments, but no way am I walking on any more ice! We have breakfast at the hotel, and lunch at a cafeteria next door where we can point to food instead of trying to interpret a Russian menu. It is definitely not high cuisine. After lunch we put on our long underwear, bundle up, and Jim asks for a taxi. We travel to the other side of town, where there are lots of skyscrapers, and a long mall like in Washington D.C., with monuments on both sides. 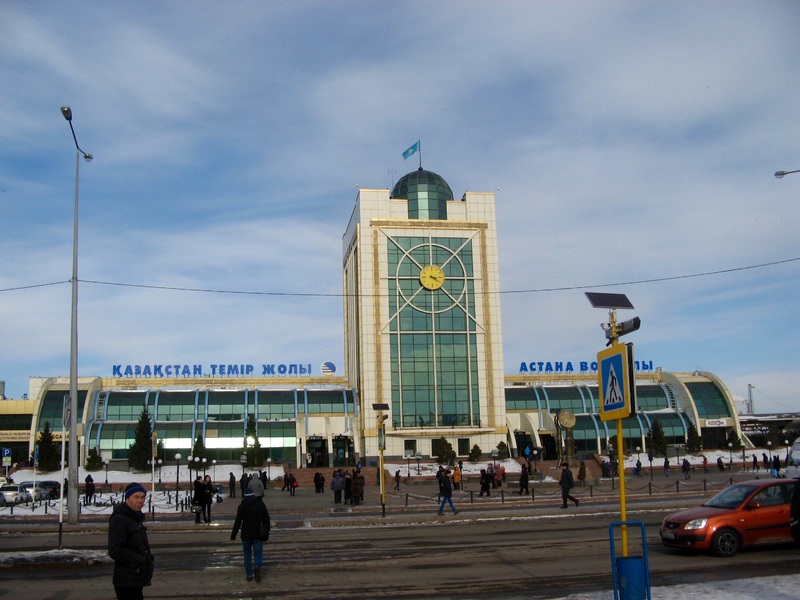 Astana became a capital city in 1997. 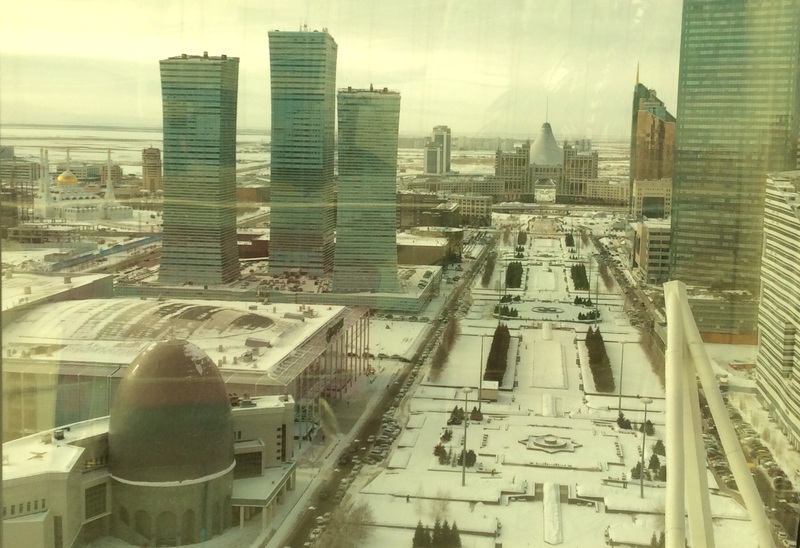 The word Astana means capital. Most of these buildings have been erected within the last 10 years! 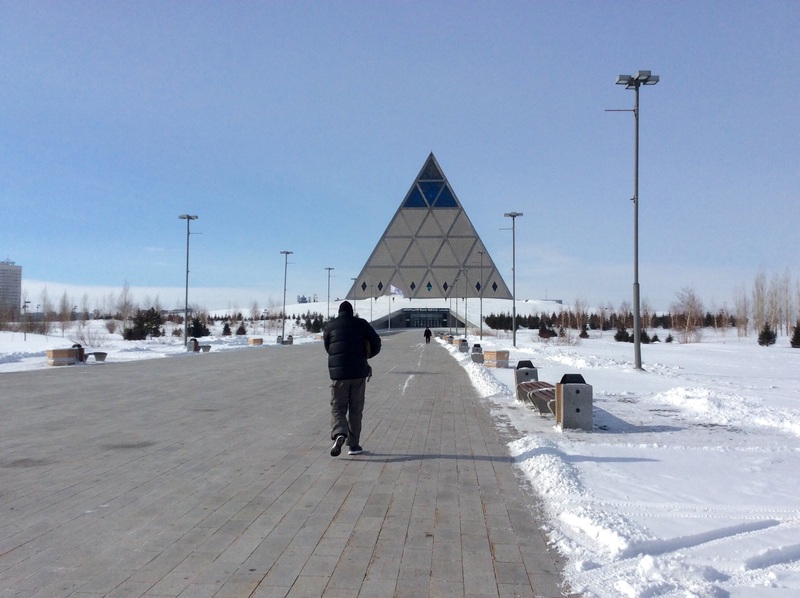 Our first stop is the Palace of Peace and Accord, a conference center built in 2010 to foster communication and peace among religions. 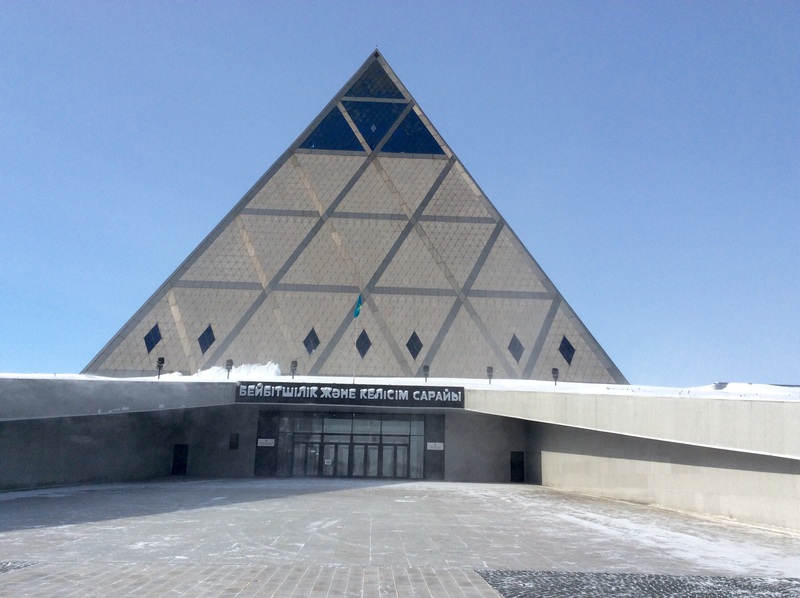 It is shaped like a pyramid, and is supposed to have a stunning room at the top. The taxi drops us off in front, but it has a big promenade drive, and by the time we walk up to the door my mouth is frozen and tears are sprouting in my eyes. So cold! And windy! I reach the door first and pull on the handle – locked! I can see people inside, and bang on the door. A security guard opens the lock and begrudgingly lets us in. He motions us over to two young women behind the counter, who tell us in very precise English that the elevators in the building are not working, for an indefinite period, so no tours are being given. Perhaps we can return next month? Jim and I give each other the “you’ve got to be kidding” look. We ask if there are stairs we can walk up, but are told no. 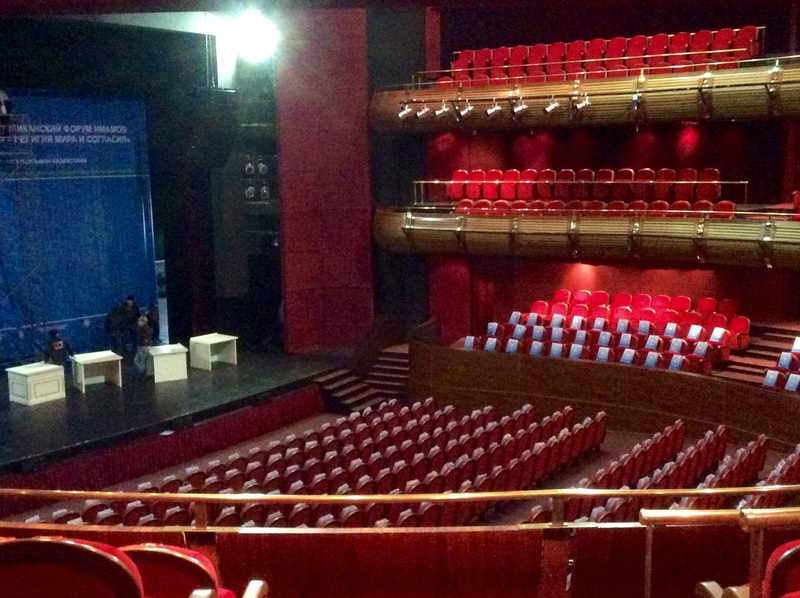 We ask if we can at least look around the ground floor, and we’re told we could. 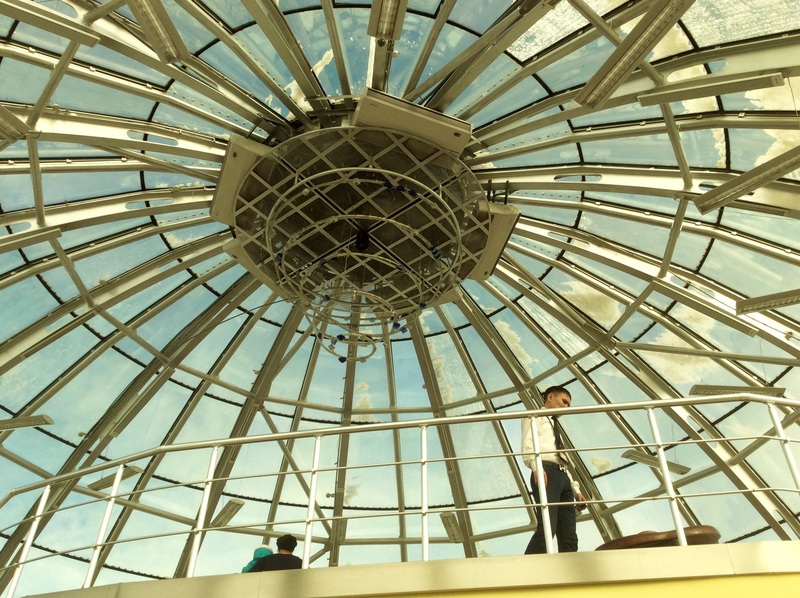 There is a big staircase, and we start to walk up, when an older, supervisory looking woman stops us and says we can’t proceed without a guide. We say we were told we could walk around. She leaves, and suddenly the two young women from the front desk are marching up the steps – they are now our guides! 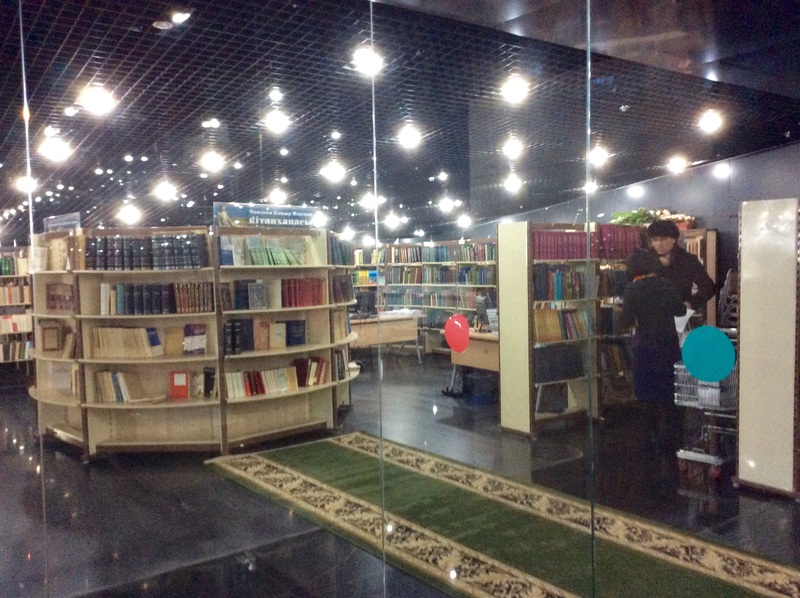 They show us the library on the second floor. 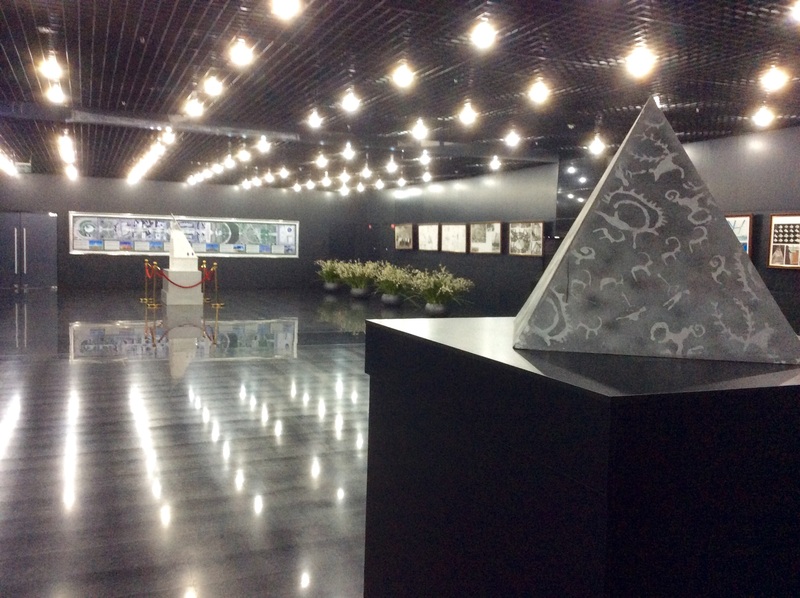 On the third floor are Egyptian artifact replicas. 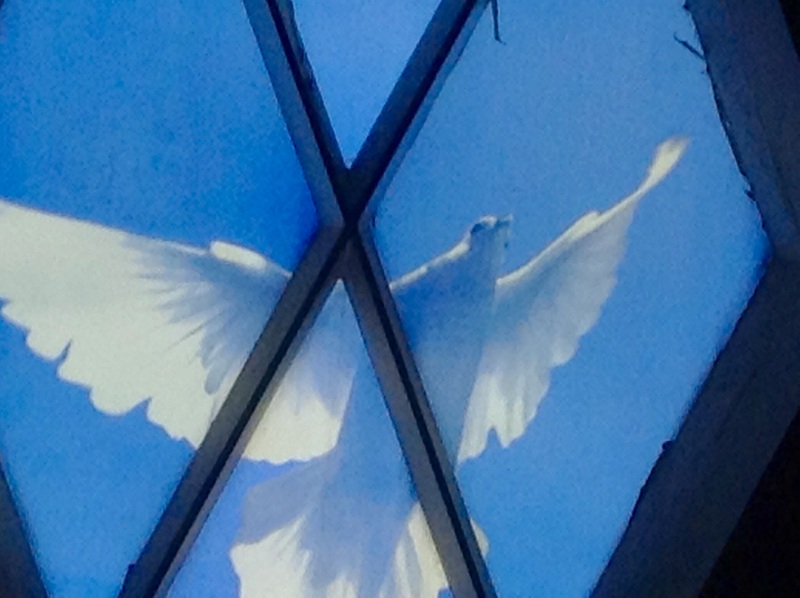 The top of the pyramid is supposed to be breathtaking with these doves on the glass, but we won’t get to see it today. 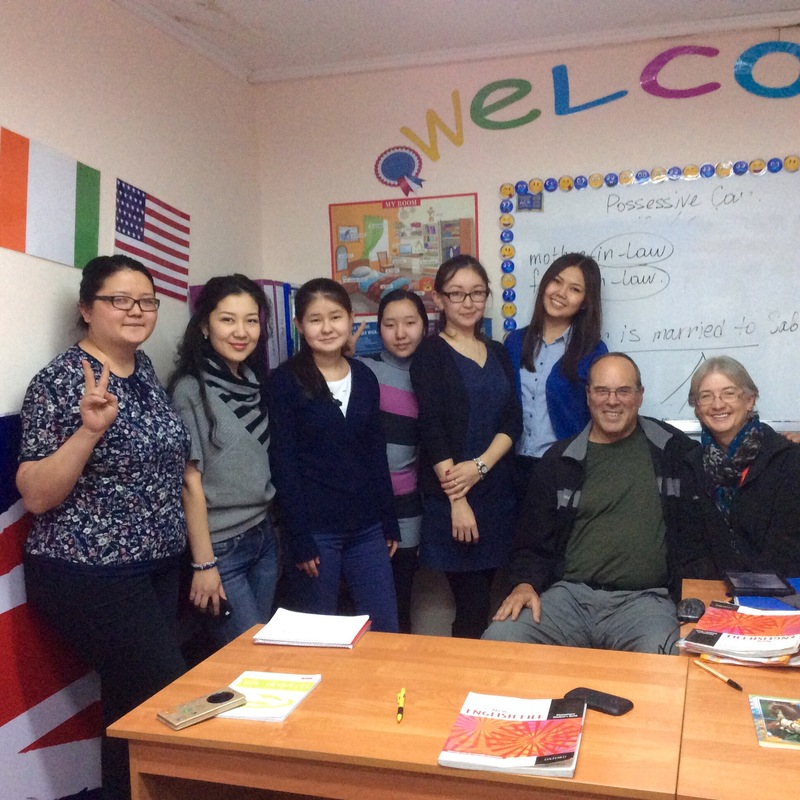 We thank the young women and ask them to call us a taxi so we can visit the Bayterek. 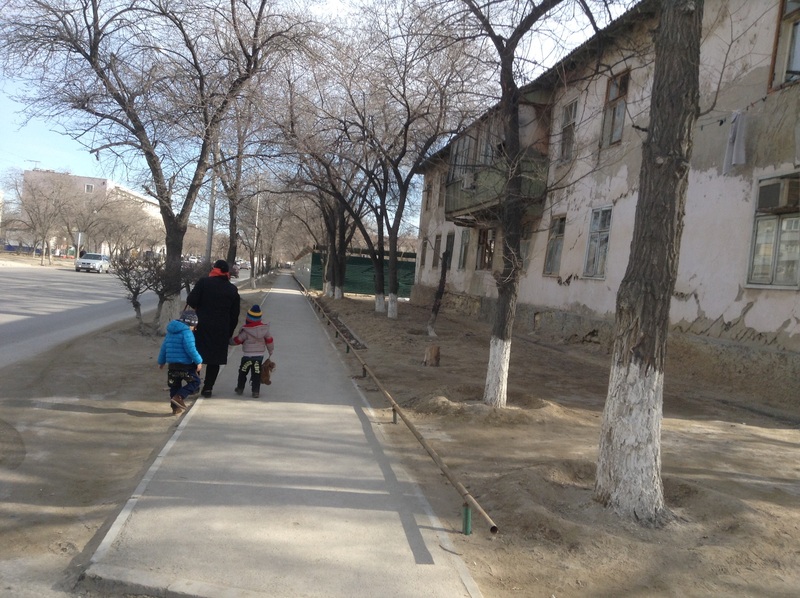 One of the girls tells us it is not too far – we can walk. I say today is much too cold for walking, but they laugh – this is normal weather here – they don’t think it’s cold until it gets to 50 below! 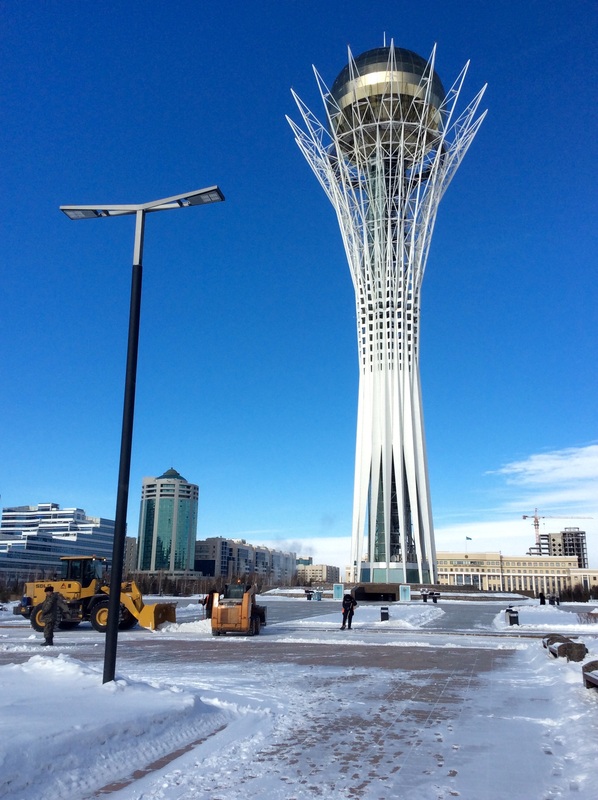 The Bayterek Tower was built in 1997, and represents the folktale in which the bird of happiness lays a golden egg in the branches of a poplar tree. 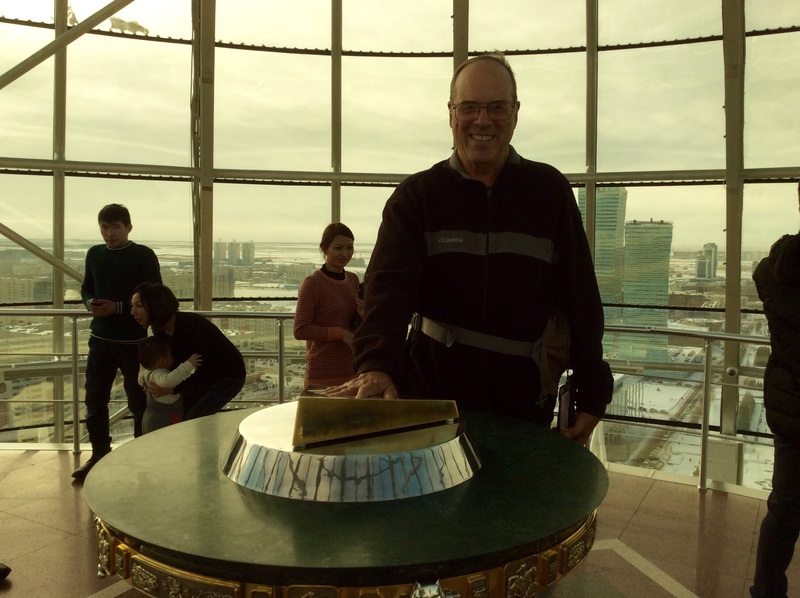 We entered on the ground floor and purchased tickets to ride the elevator up to the observation deck. 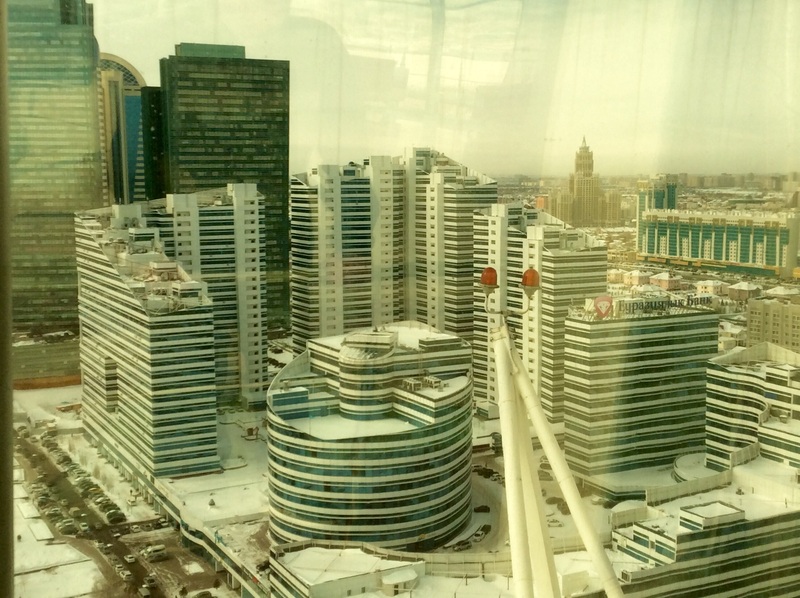 Here we had a 360 view of the city through tinted glass. Beyond the office buildings known as the Golden Beer Cans, you can see the Pyramid we visited earlier. 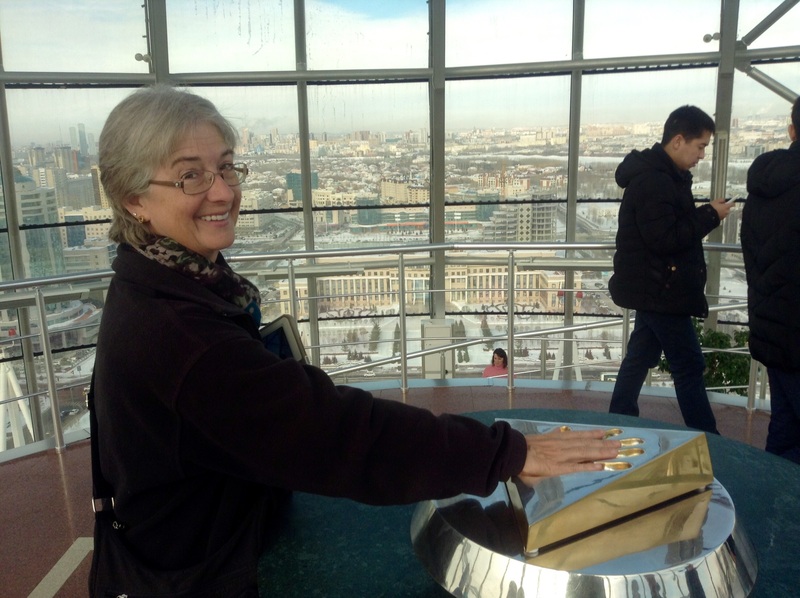 There were lots of visitors here, lining up to place their palm in the president’s golden handprint, and snap pix of the views. 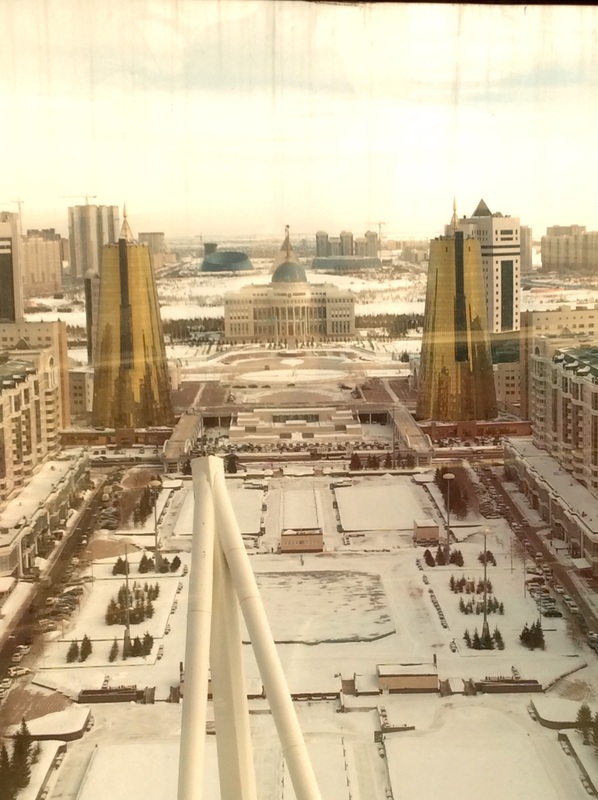 2/10 – Baku, Azerbaijan is on the western shore of the Caspian Sea. If we are going overland to China, our options are to go north through Russia (a visa we do not have), south through Iran (not an option at all for Americans without an invitation), or across the Caspian Sea by boat. 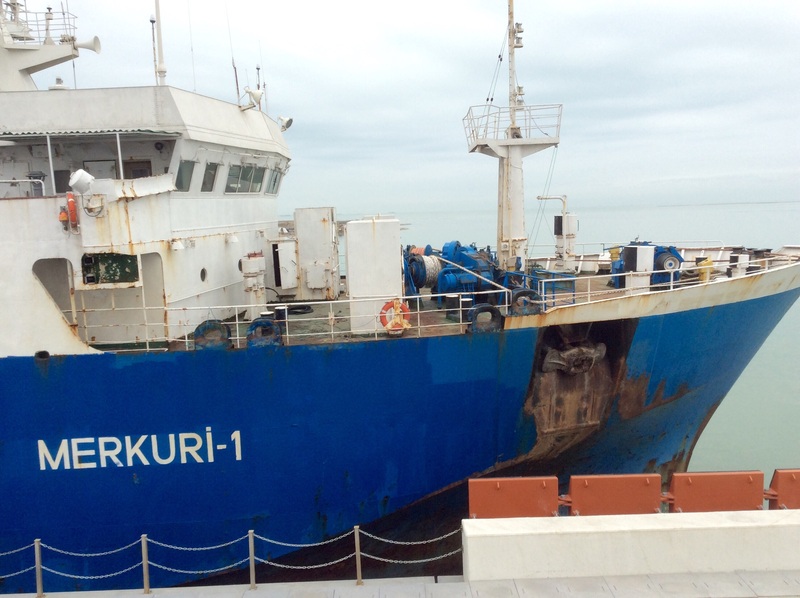 Although there are no scheduled passenger ships, we read about other travelers who were successful in securing passage on one of the commercial ferries that carry goods from Baku to either Aktau in Kazakhstan, or Turkembashi in Turkmenistan. 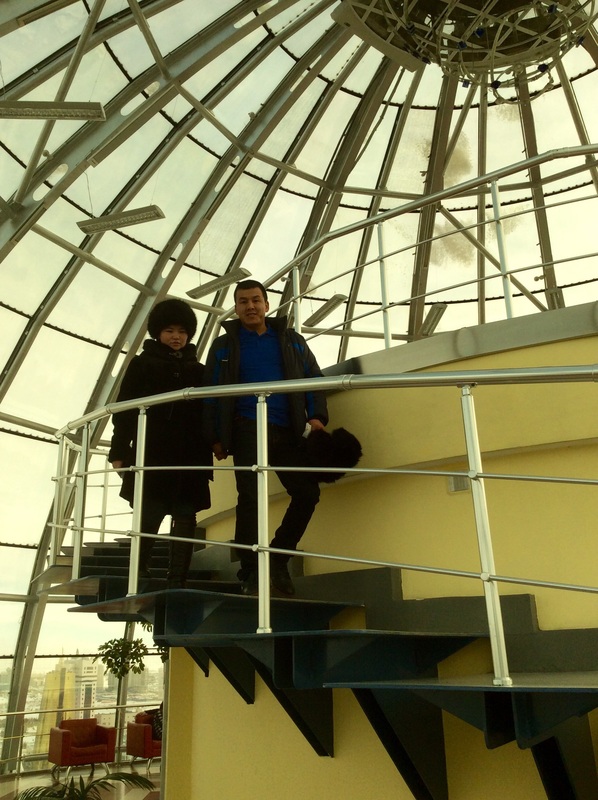 Since September 2014, Kazakhstan does not require Americans to apply for a visa, so Aktau is our goal. We are grateful for the knowledge we gained from other bloggers, so we set out our experience here for the possible benefit of future travelers. It is February 10, 2015. Waiting for a ferry that takes passengers and is going where you want to go can take up to 10 days, depending on weather and commerce. 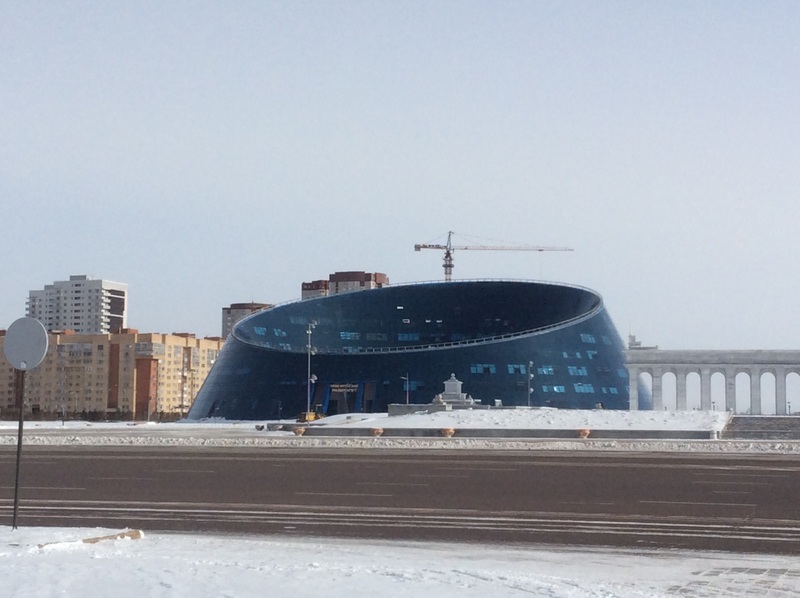 Our Azerbaijan visa is only valid for 10 days, so we decided we would try to book ferry passage for 5 days, and if a ferry is not scheduled, we would book a flight to Kazakhstan instead. We downloaded an iPad app called Marine Traffic (iOS $3.99) that showed us which ships were in the area of Baku. We got a list of four ship names from another blog, and could see that two of them (Mercuri I and Professor Gul) were near Baku, although we did not know their destinations. We thought our chances were pretty good. 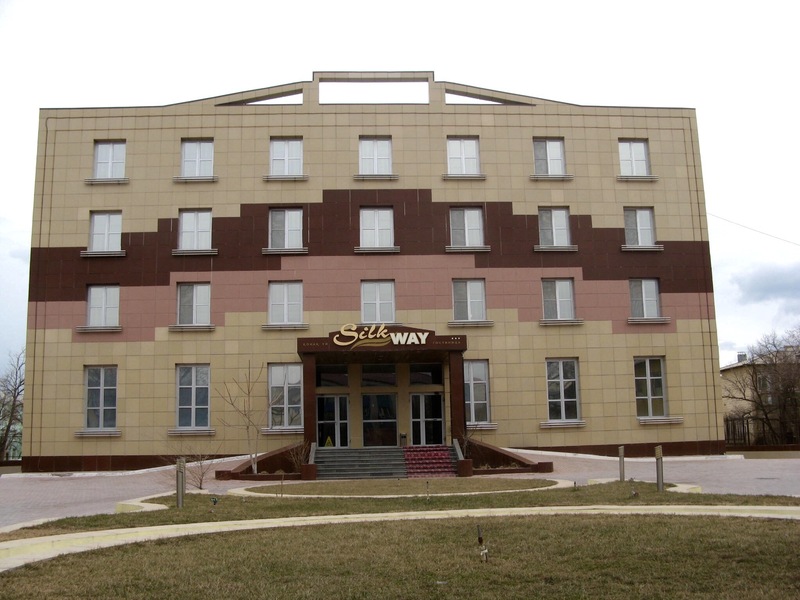 We paid for one night at our hotel (the Guest House Inn Hotel, very nice, right near the train station) and asked if we could extend our booking day by day as needed. The hotel had rooms available, and was fine with this arrangement. 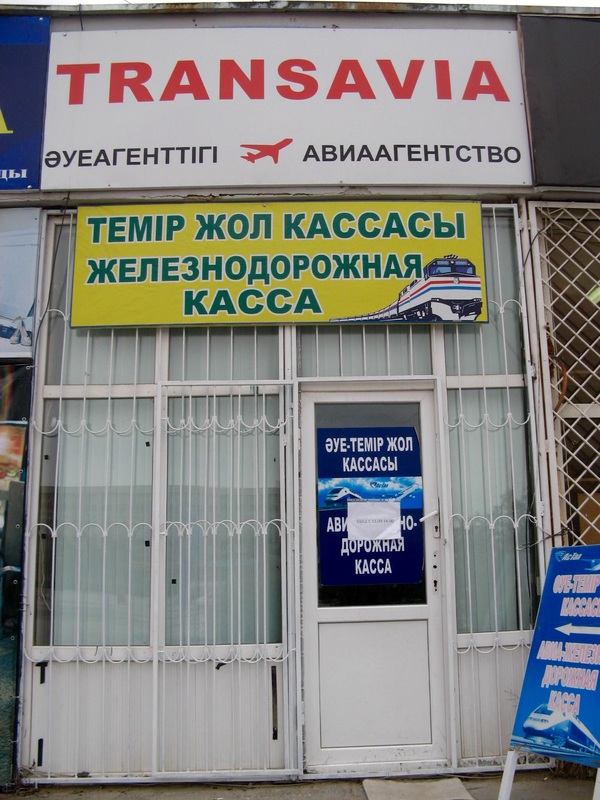 From another blog, we knew that the only person in the Baku ferry ticket office who speaks any English is Vika, and her mobile number is 99 455 266 5354. 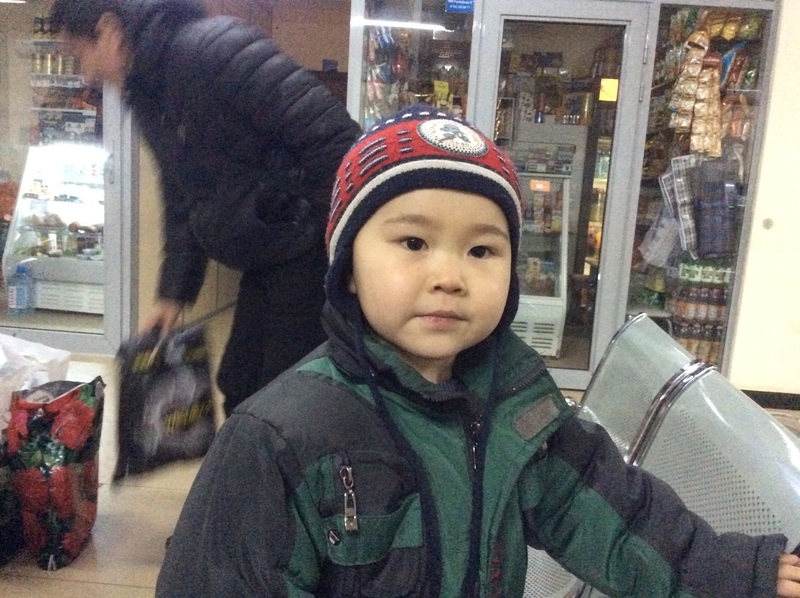 As soon as we arrived at our hotel, we asked Emil at reception to call Vika on his mobile. (Our phone plan does not extend to this country.) It was about 10am. Vika said she did not have a boat, but would make some inquiries, and told us to call back at 2pm. This was consistent with the experience of other bloggers. We had lunch and did some sightseeing, and asked Emil to call again. 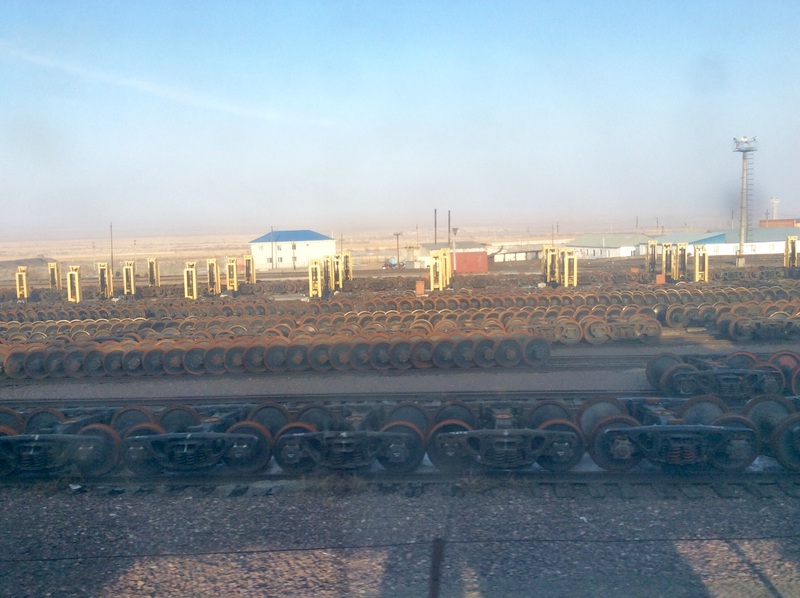 This time Vika said she had a boat going to Aktau, but it did not have a load. She told us to call again at 4pm. At 4 she was still waiting for information, and told us to call at 6pm. This time she did not pick up, and we thought she might have gone home for the evening. Jim used the communal kitchen at the hotel to fix us a lovely supper. We set out to get supplies for tomorrow’s breakfast, and found a big supermarket at the 28 shopping mall right down the street. 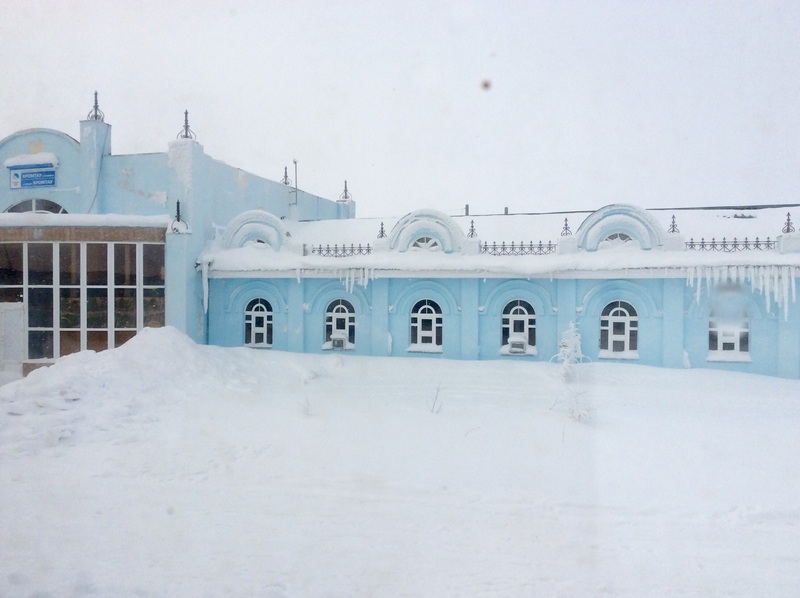 When we returned, the young man at the reception desk told us that Vika had called at 7:30pm, and said we were to come immediately to the ticket office to purchase tickets for a ship that was leaving tomorrow morning. The tickets were $110.00 each. Jim ran out to the ATM, but, unlike the machine we had used previously, this one did not offer an option for US dollars. We remembered from reading other travelers’ blogs that the payment had to be in dollars, so we ran back to the hotel and asked where the nearest money exchange was. 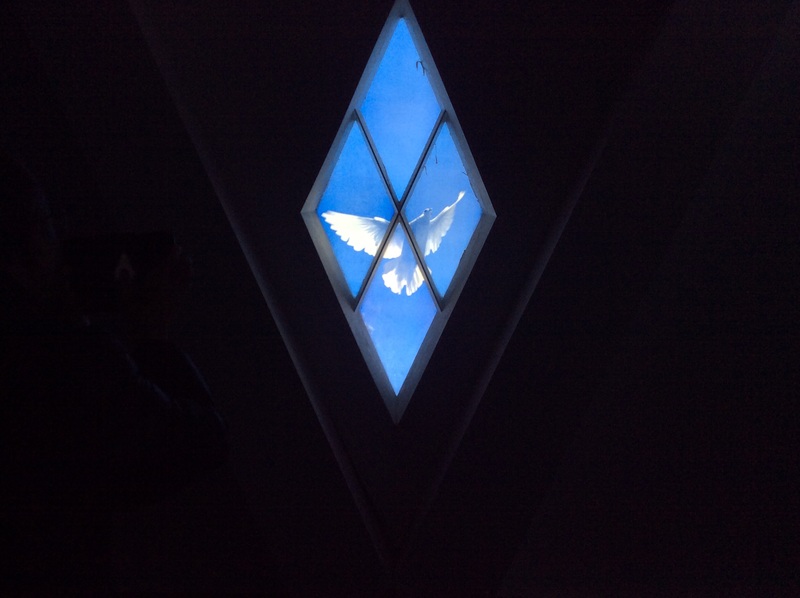 A young man hanging around the lobby was instructed to take us there – it was only a block away. We returned with our dollars, and asked for a taxi to the ticket office. 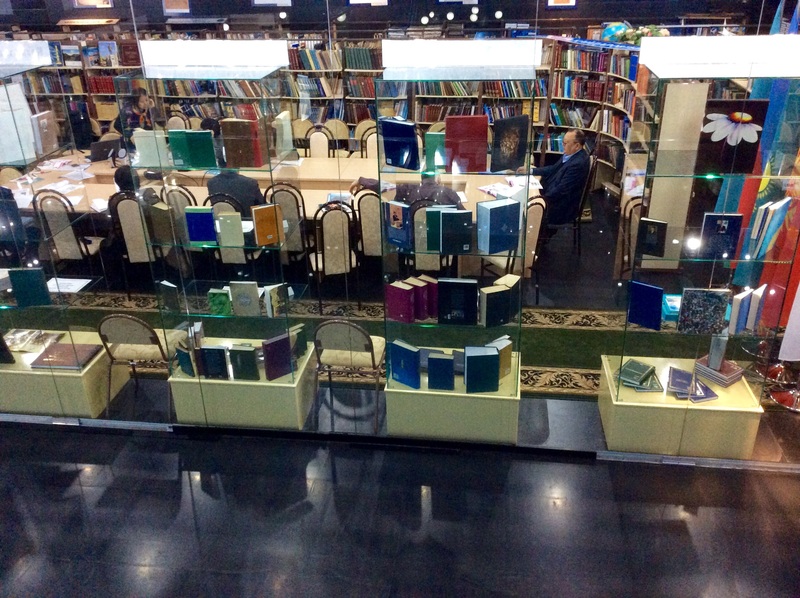 The young man at the desk offered to drive us there for 15 manat ($20), and we gratefully accepted his offer, as we had read that the ticket office was difficult to find. He drove us a half hour east to a dark, industrial area, which was where the ticket office used to be. It was no longer there. He called on his mobile, drove some more, asked directions from cabbies and pedestrians, and by 9pm he delivered us to a tiny, unmarked office in a different dark industrial area. Sorry, fellow bloggers, I couldn’t give directions if my life depended on it. Twenty minutes later, we had two handwritten tickets for the Balaken, which the ticket lady said was a new boat. There were others there who were NOT paying in US dollars, but the lady requested our payment in dollars. I asked what time we had to be at the ship for tomorrow’s departure. Through our young man as interpreter, she said the departure wasn’t tomorrow, it was midnight TONIGHT! 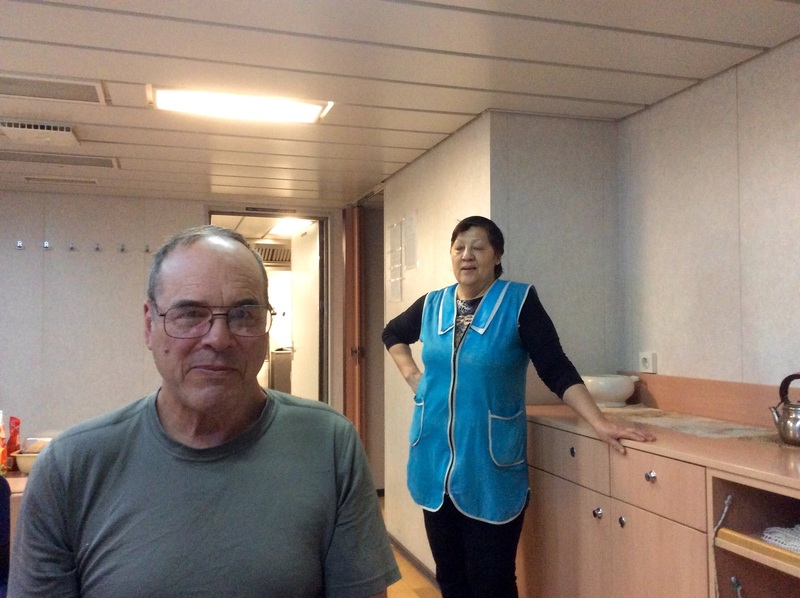 We were to get our belongings and report right to the ship. Our young man told us not to panic – there was plenty of time. 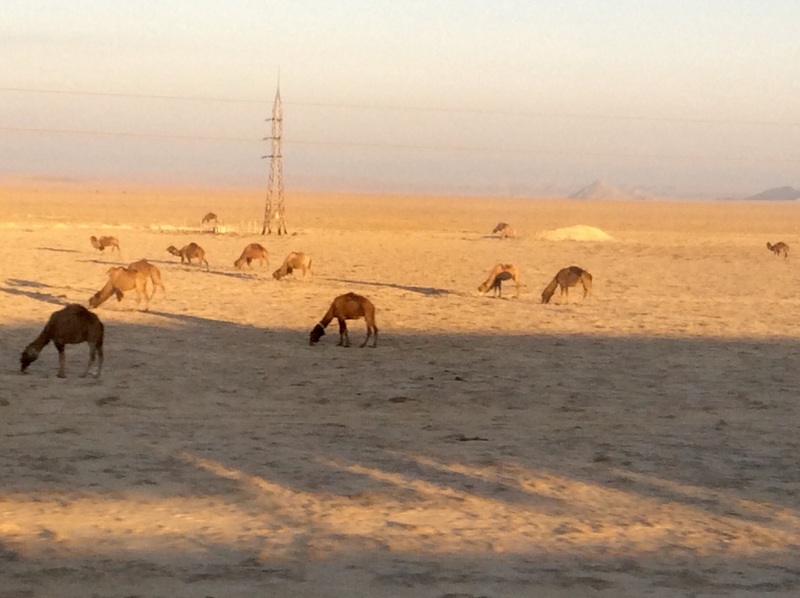 He returned us to the hotel, where we packed up our stuff and refilled our canteens. We had read that some ships provided meals and others did not, and we had no idea if ours would. We looked at our small accumulation of fruit, peanuts and chocolate bars, and decided it would just have to do for the 18 hour ride. 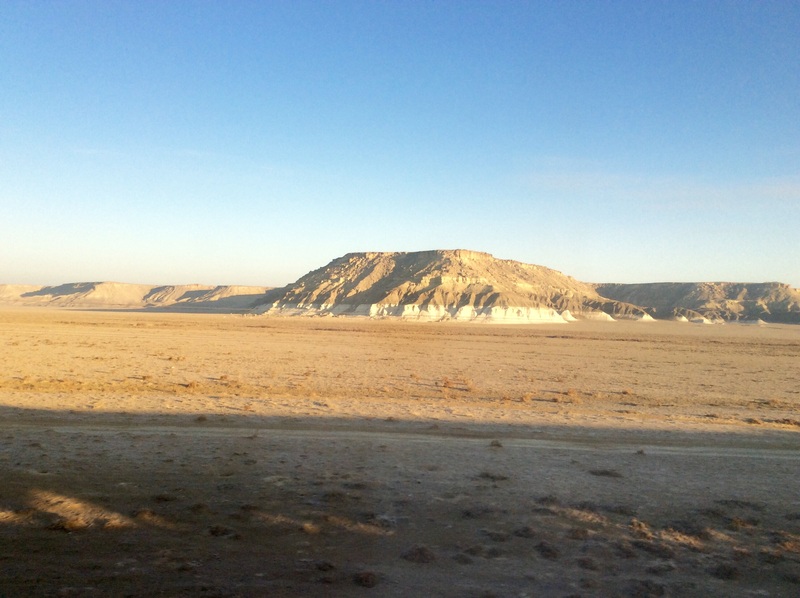 The man at reception called a taxi (for 40 manat – $55.00) to take us to the port and assured us that the driver knew just where we were going. Good news that, as we had no idea! The taxi came at 11pm, and drove west, in the opposite direction from the ticket office. After 45 minutes of highway speed driving, the driver asked if we had tickets and were going to the Airport. No airport! Ship! Boat! Ferry! Port! He didn’t understand and called back to our hotel on his mobile. Ok, he said. Everything ok. He’d said airport, but he meant port. Really? Where the heck were we going? Baku was far behind us, and we just kept driving. 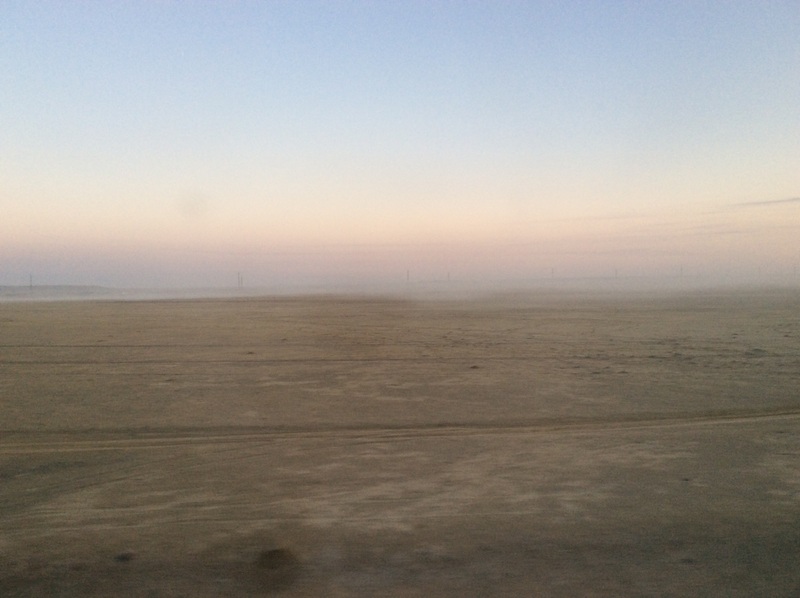 In another 20 minutes, we arrived at a deserted parking lot, at the end of which was a Passport Control booth with a lone Customs agent in a fur hat. We could see no ships, but at least we couldn’t see any planes… If the boat was really leaving at midnight, we had missed it, but we read that passengers had to be on board hours before the ship left the dock, so we hoped we were still okay. We had our pictures taken, and passports and Azerbaijan visas stamped, then were told to walk to our ferry. Where? That way. We walked into the night and, around the bend, we saw lights! Not one ship, but two! We sprinted toward the closest one (it was very cold), passing a family with a little girl, who were having trouble managing all their luggage. 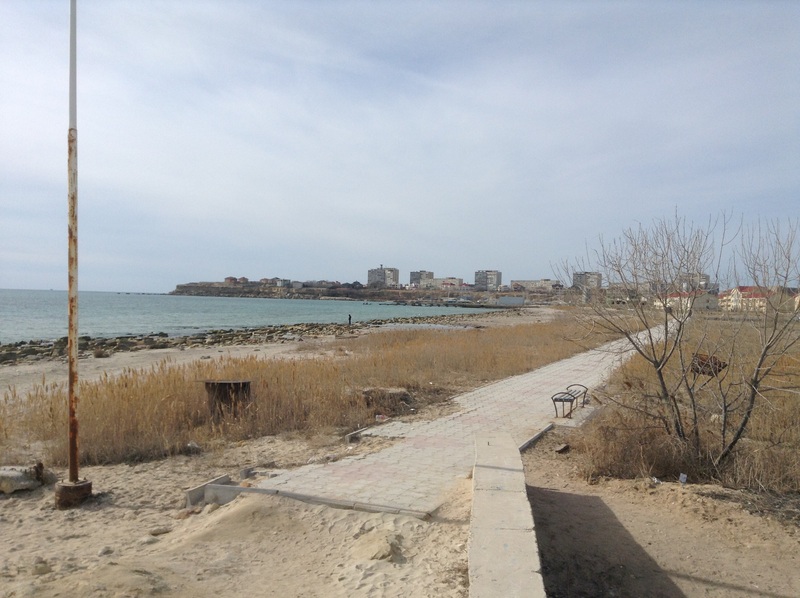 Aktau? we said, indicating that we would help them carry some parcels, but our offer was refused. The ships were well lit, but there was no one in sight. We walked up to the first one, looking for a way on. A man came out, looked at our tickets, and waved us over to the second ship. This time a man showed us up a ladder (I forget what you are supposed to call a ladder on a ship) then indicated a door (hatch?) way down at the other end of the ship. We walked on the slippery, wet deck, skirting holes that you could easily fall into. Be careful! This ain’t Disneyland! Another man met us at the door, and took our tickets and passports. He motioned us to a common room where there were couches, and a man watching the Transformer movie on TV, poorly dubbed in Russian. 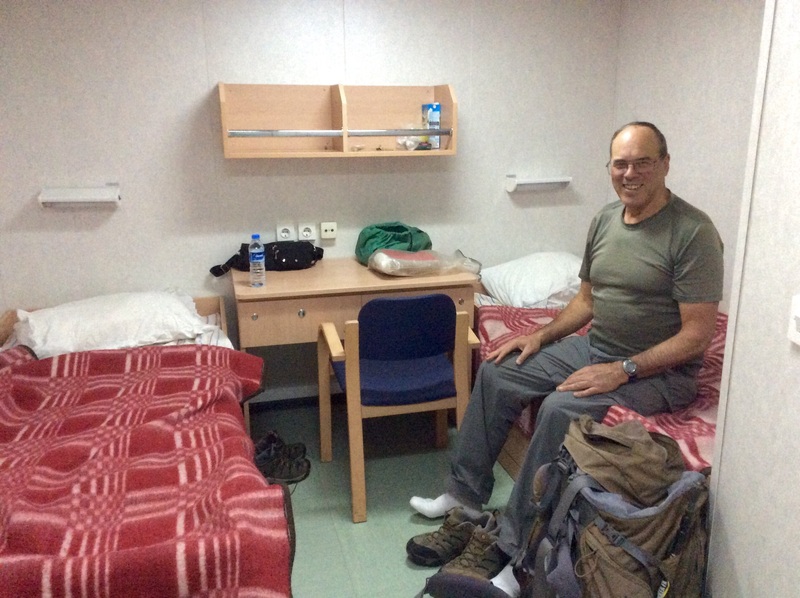 In a few minutes, he motioned us to follow him down the corridor (I’m sure that has a special name too…) and showed us our cabin, complete with two bunks, a private bath with a western toilet (yay!) a hose-shower, and a key. Other blogs told of shared dorms, no privacy and squatty toilets, so we were very happy. The bunks had a blanket and pillow, but no sheets, which we had also heard about. Others had used their sleeping bags, rather than lie on dirty bunks, but we sent our bags home months ago, so were contemplating sleeping in our clothes. Just then the door opened, and we met Lydia, who gave us each two sheets and a pillowcase. Heaven! 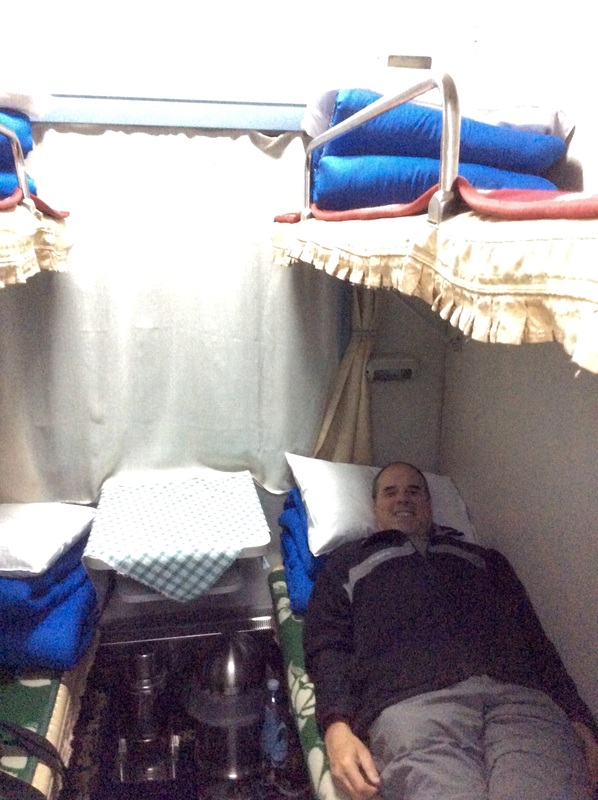 We made up our bunks, and by 1am, we were asleep. We awoke throughout the night to the sounds of cranes, chains and loud clanking noises, as the ship was loaded. 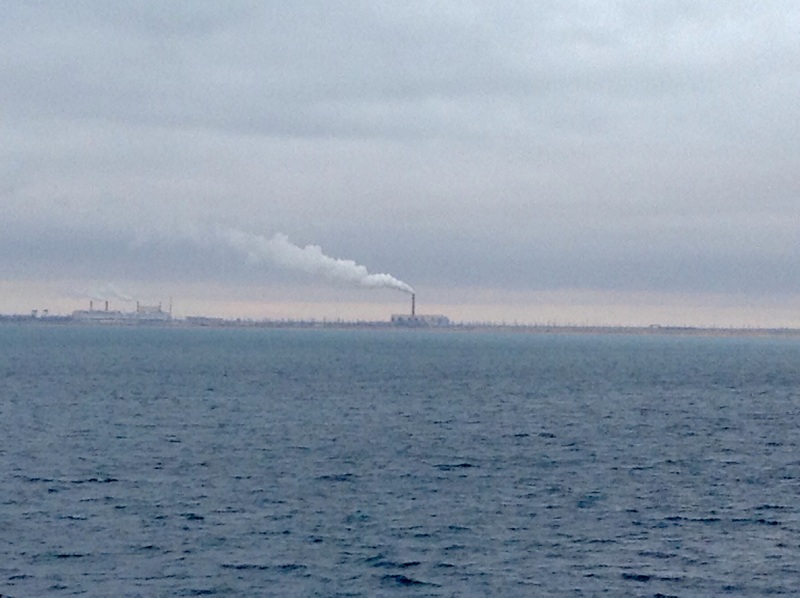 When we got up at 8am, the ship was not moving. 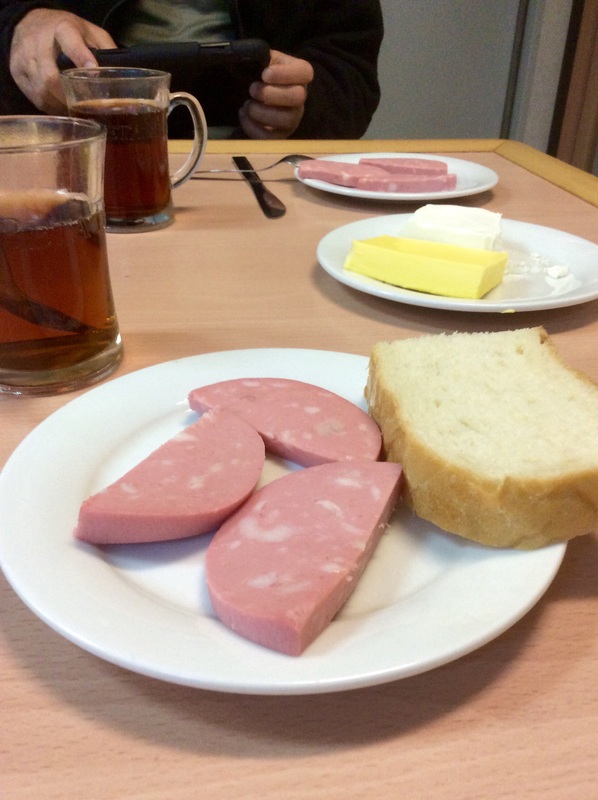 We walked back up the corridor, and one of the crew motioned us into the mess (otherwise known as the dining room) where Lydia handed us a cup of tea, three slices of pink sausage, some white cheese and some margarine, and motioned toward a basket of bread. Well, that answered the meal question – we would be fed! The ship got under way at about 10am. We went up on deck and took some pix. Here are some of the cargo containers, and our lifeboats. We couldn’t see the outside of our own ship, so here is the Mercuri I, next door. It was windy and chilly. We went back to our room to read and blog. There were outlets by each bed to charge our iPads. At 12:15, Lydia opened the door and pointed at her watch sternly. If we didn’t get a move on, we were going to miss lunch! At lunch we met our fellow passengers – the family with the luggage issues, and another young man. Lydia, making sure Jim eats all his soup! 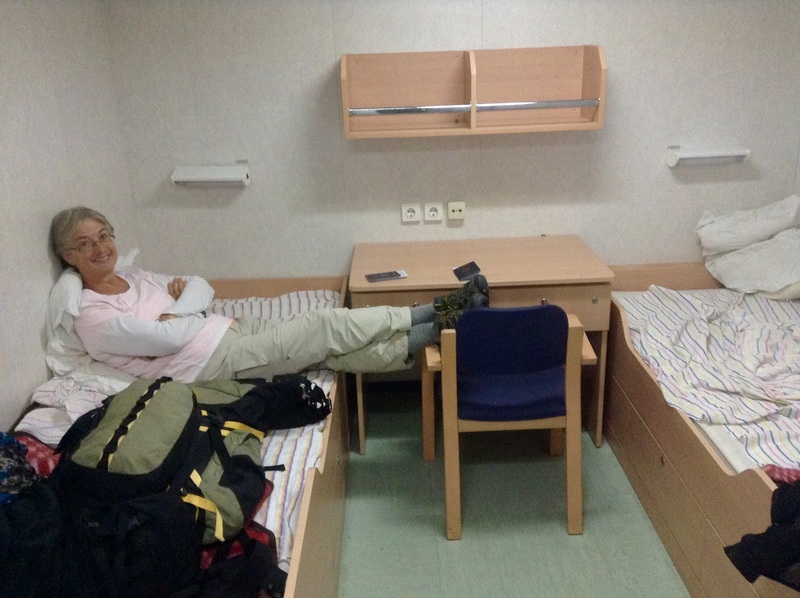 The ship has 6 guest rooms with two bunks each, so it was only half booked. There was a sign posted that said there were 22 crew, but we only saw 3 or 4. 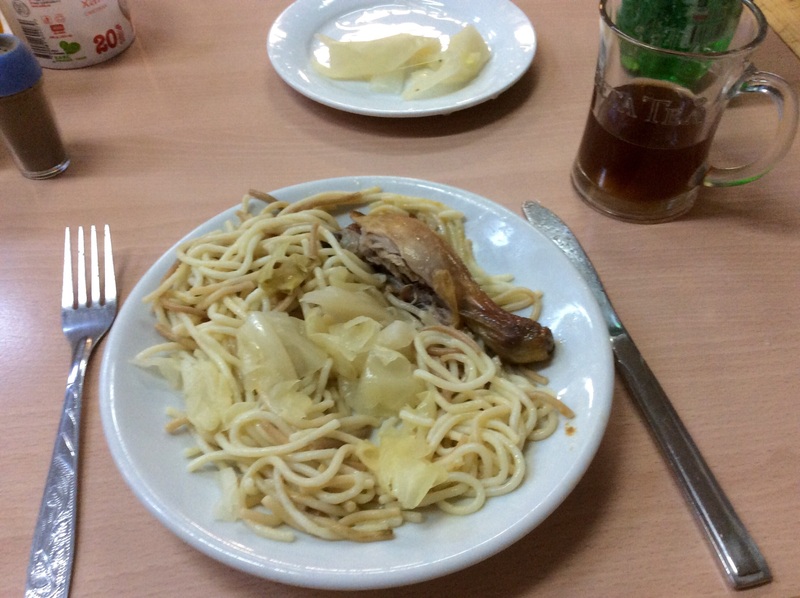 Lunch consisted of a chicken drumstick, spaghetti noodles, pickled cabbage and bread. There was also bright green soda, flavored with tarragon and anise – a first for me! We read and napped the afternoon away. Supper wasn’t until 8:30pm – Lydia wanted to make sure we were hungry – and consisted of tepid soup, the other drumstick, sweet pickles and two fried eggs. More tarragon soda and bread. 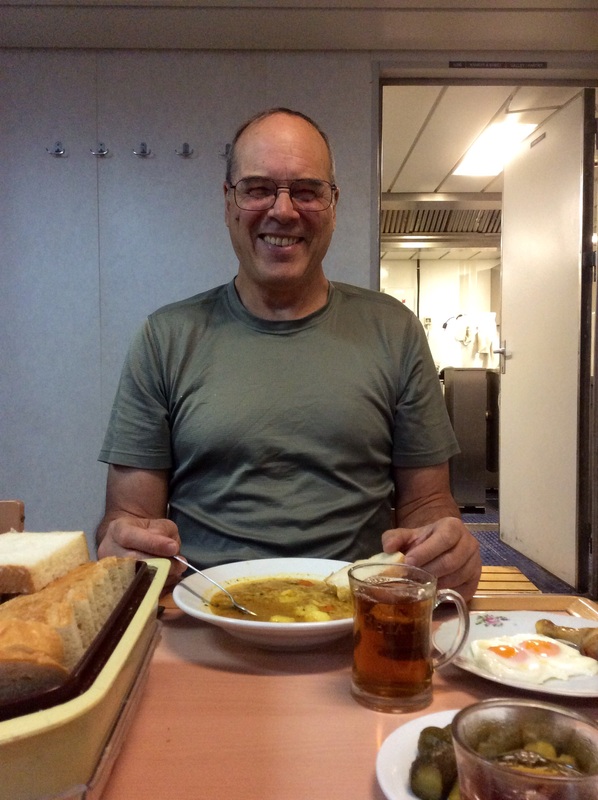 We had access to tea at every meal, but no water, so we were glad we had filled our canteens. 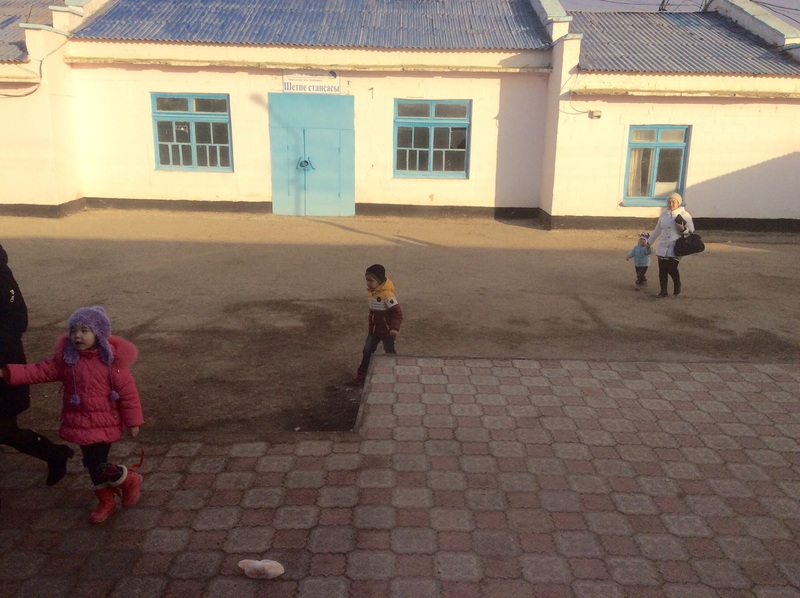 We learned the names of some of our fellow travelers – the mom was Christina, the girl, Layla, the young man, Hussain. They had no English, and we had no Russian, so that was the extent of the conversation. At 8 the next morning we heard a great cranking, and assumed the anchor was being lowered. Jim went up on deck, and land was visible, although still far away. The captain indicated “3” – three hours? Three ships ahead of us? We don’t know, but time will tell. 22 hours since we started moving. Breakfast was bread and white cheese, and a cup of sour cream. Made me wish for potato chips! 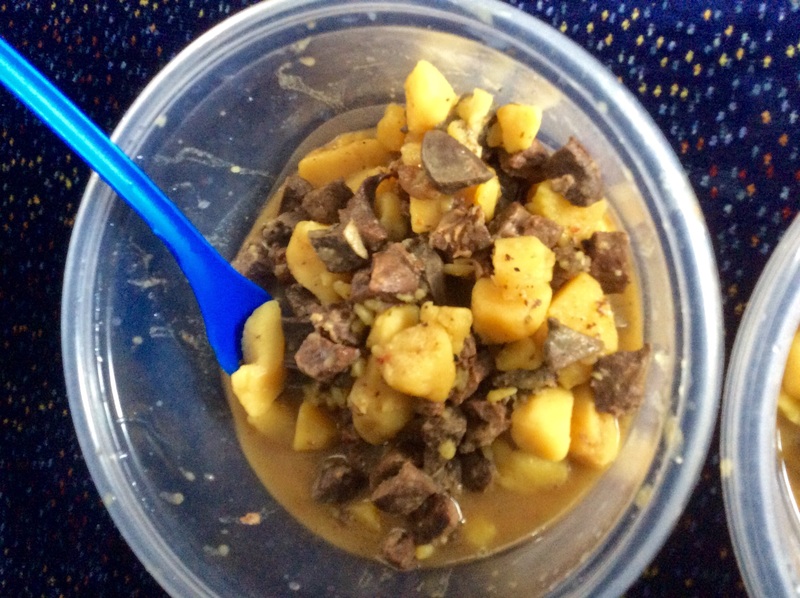 12:30 saw a review of our previous meals as lunch – the pink sausage and spaghetti noodles are now in the soup, the eggs and potatoes scrambled, the drumstick, the bread, the tarragon soda. I wonder how much longer we’ll be here? By 5:30pm the ship started up again, and we moved into port. We set our watches two hours ahead to be in sync with local time. I guess there were three ships ahead of us. 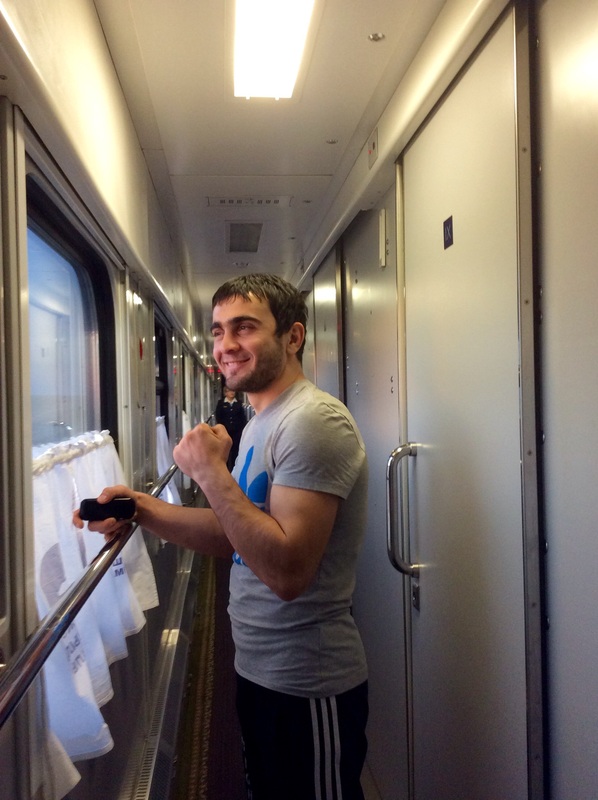 Customs officials came on board and we filled out Kazakhstan declaration forms. By 7:30pm we left the ship, 43 hours since we boarded, and were shuttled to the passport control building to have our pictures taken again. Then we stepped out into the Kazakhstan night. There were a few cars in the parking lot, but no taxis. This is not a place for tourists. 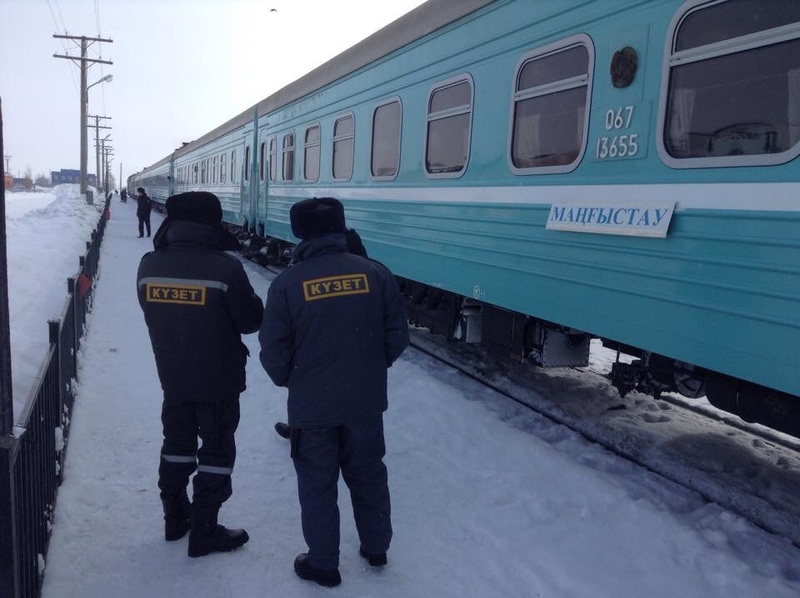 We’d read about a possible bus into town, but the Customs guy said ‘nyet’ to that. 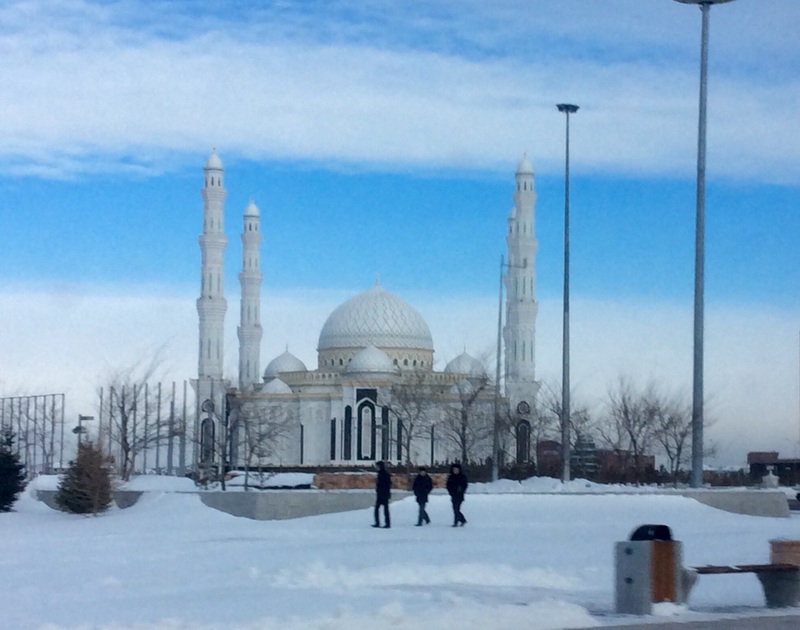 We walked back to the customs area to see if someone could call us a taxi (our phone plan doesn’t work in Kazakhstan either). A handsome security guard, looking like the All American Boy, was just leaving, and offered us a ride into town. 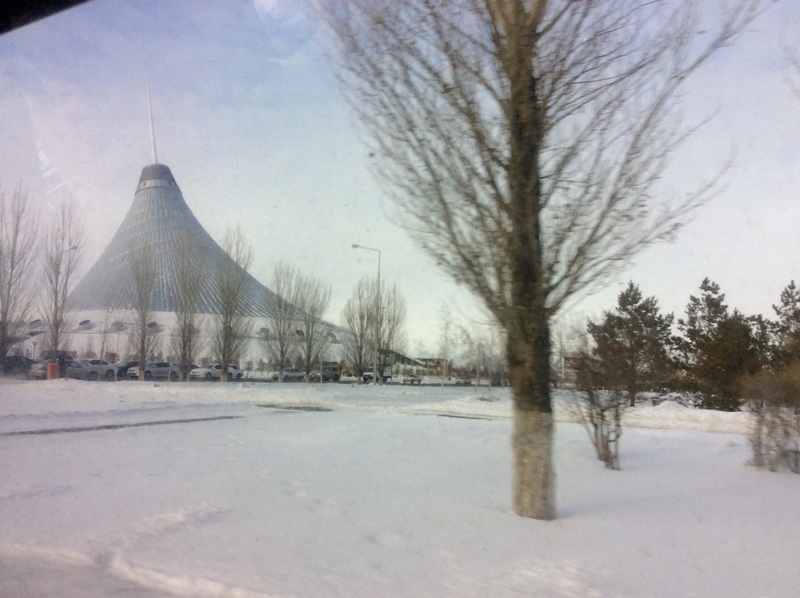 Nice Person of Kazakhstan! He had a few words of English, and we asked him to take us to a cheap hotel. He understood the hotel part. He dropped us at a very nice place that charged $150 a night. 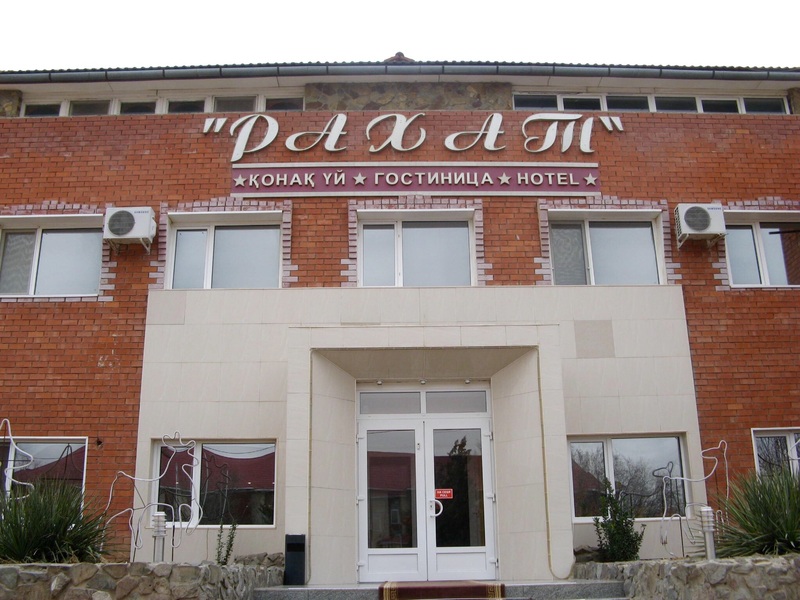 When we expressed dismay, the reception clerk referred us to the Hotel Rahat, just down the street, and we walked there. Full service, very nice, $91 a night (still too high for our budget, but it was too late to go further). 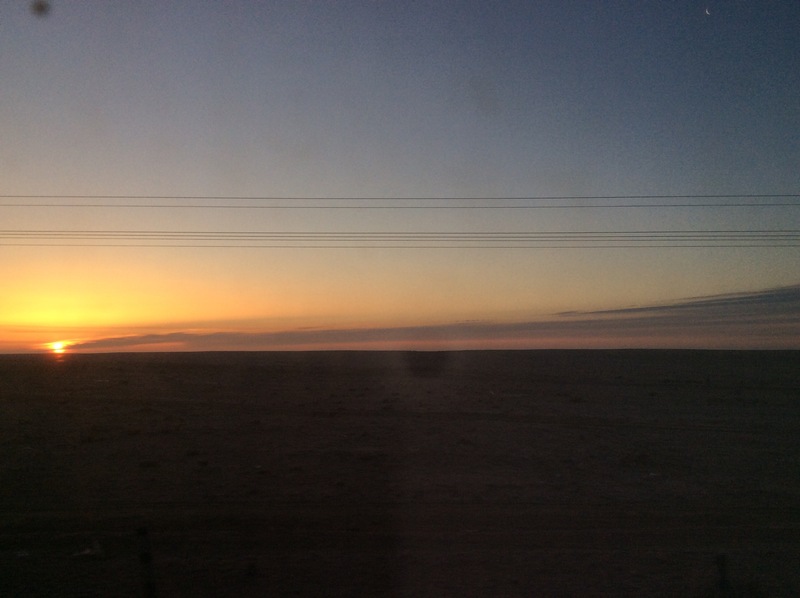 In the morning we found the travel agency right next to the Hotel Aktau (the huge hotel right on the waterfront – be careful, Google Maps took us to the wrong one), and purchased our train tickets to Astana. This train only runs on odd-numbered days, and departs at 8:25am local time, and I believe also in the afternoon. 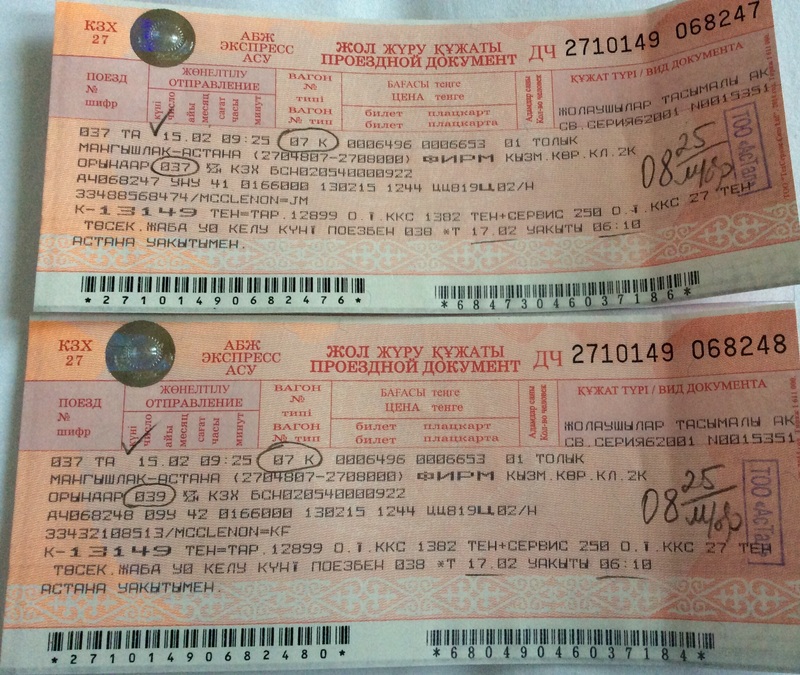 Be careful again, as the time printed on the tickets is Astana time, one hour ahead. 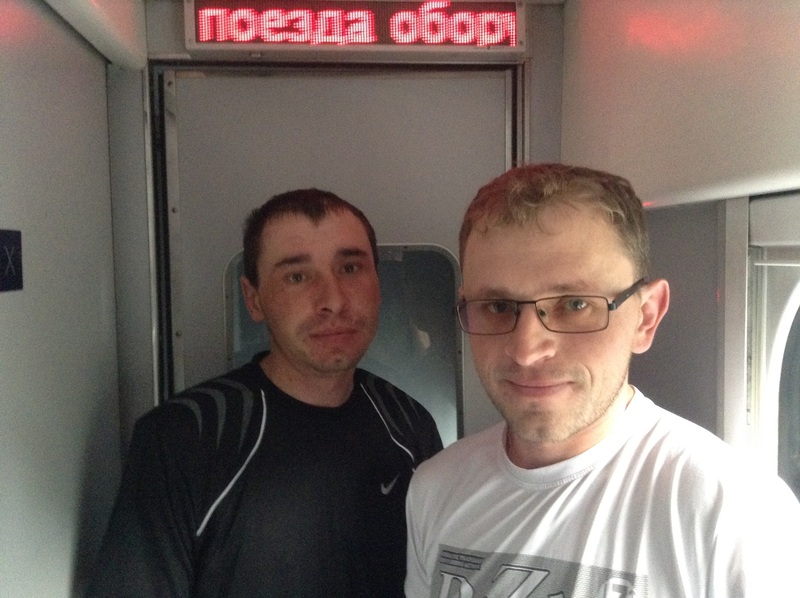 It takes two days to get to Astana, and there are no sleeper cars or food service. Won’t this be fun?